Shopping cart functionality is currently being put into place. If you need to make a purchase now, please use the Contact Form, and we will respond via email. A basic set for children and beginners. 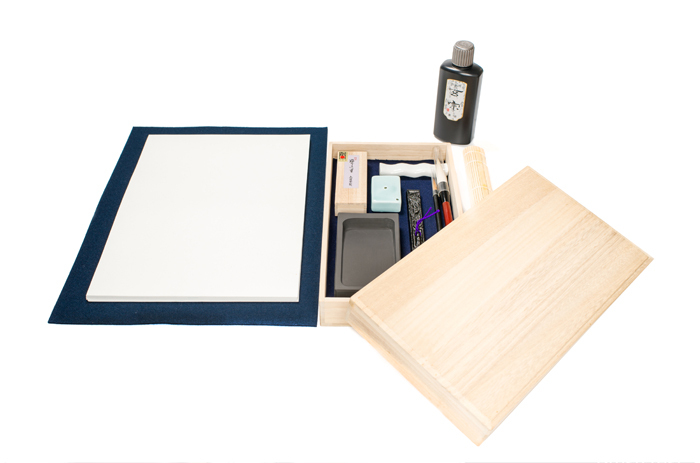 This is the perfect set for kids or students looking to try calligraphy for the first time. Reasonably priced and includes a carefully selected, high-quality brush. A basic set for beginner-intermediate students. Tools are higher quality compared with set A, including a porcelin water dropper and brush holder. 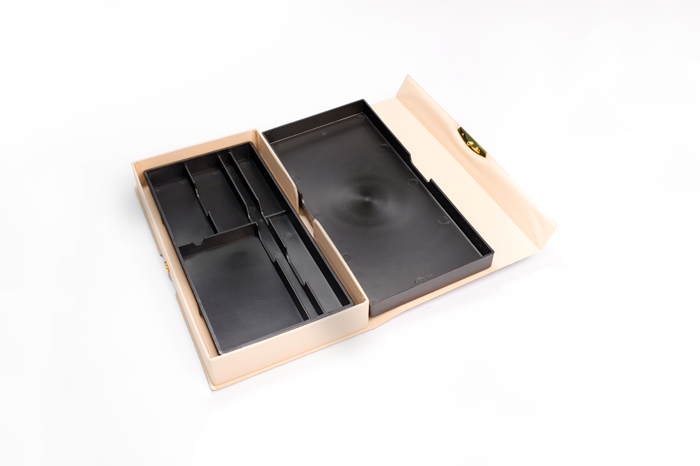 High-grade set with beautiful empress tree box for storage. Recommended for students serious about practicing calligraphy long term. Includes high-quality brush that can last many years of practice. 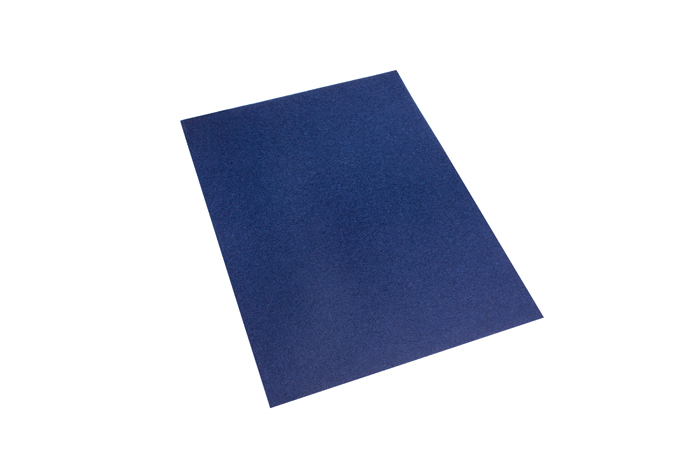 Includes 100 sheets of handmade paper, making it the perfect set to get the most out of your training. 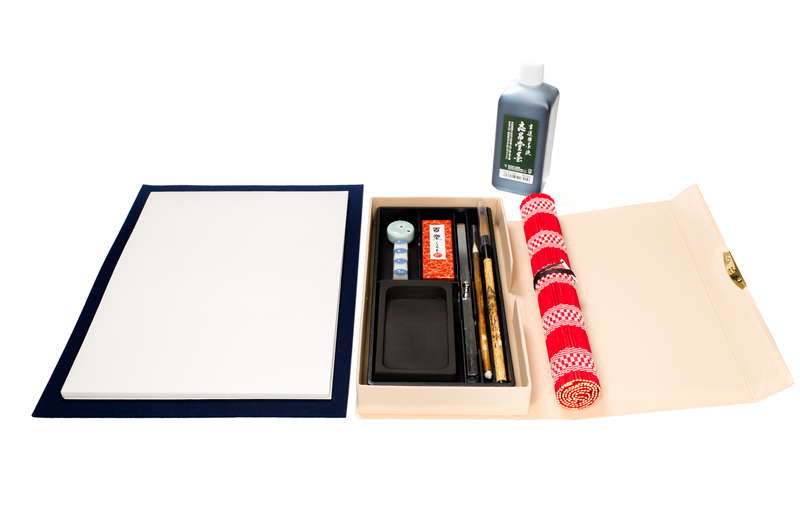 This set has everything you need to start, including calligraphy paper. The brush is specially selected for its easy handling for children and beginners. nkstone made from real stone. Perfect texture for grinding inksticks. Liquid ink is used for practice works. 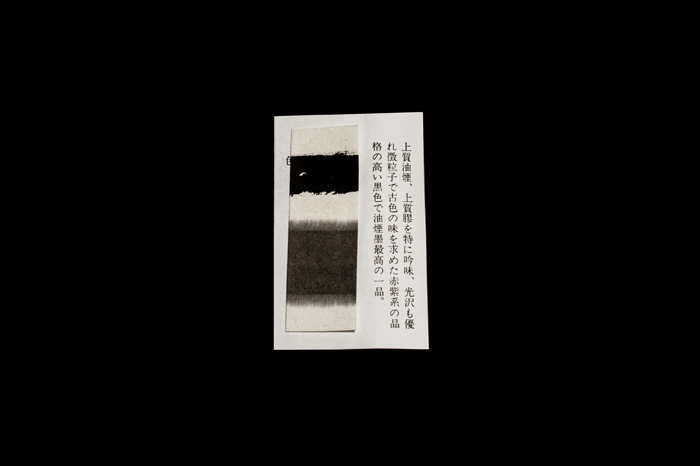 Oil soot ink crafted by longtime maker Kobaien. Creates a deep, lustrous black pigment. Simple, easy-to-use paperweight and writing surface. Calligraphy paper designed to reduce ink bleeding, best used for practicing regular script characters. 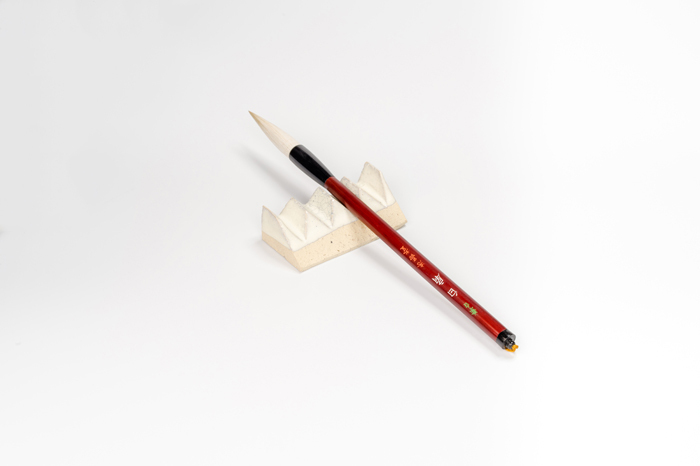 Holds dry brushes and protects brush tip during storage and transport. Seals with a rubber lid. Brush rest attached to case. Contents stay secure during transport. 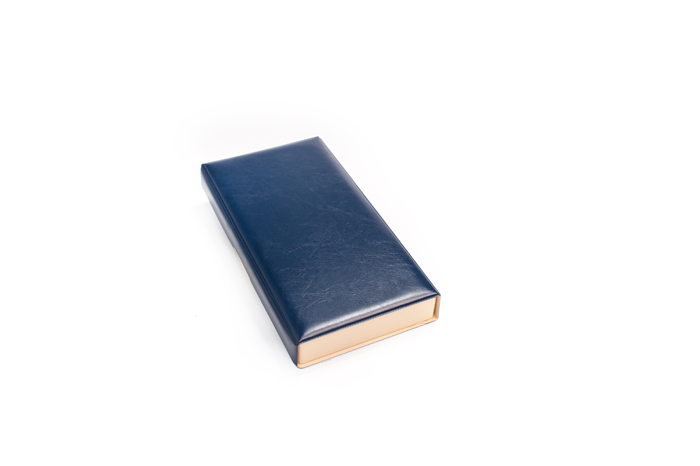 Comes with plastic case with cushioned cover, making for easy carrying and transport. 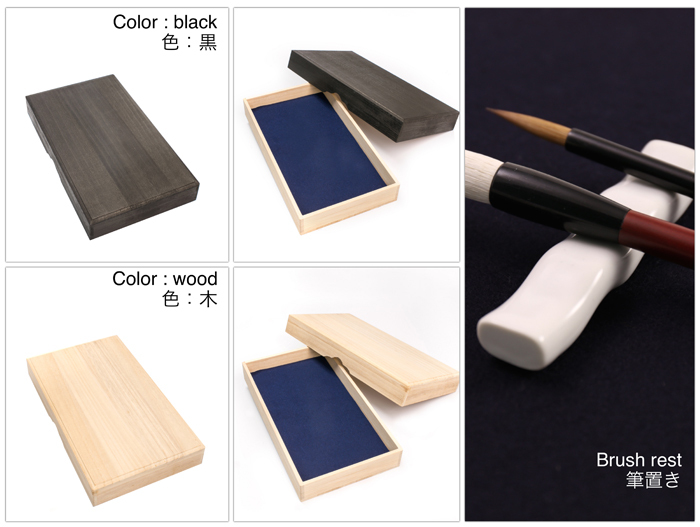 Inkstone crafted from real stone to be gentle on inksticks. 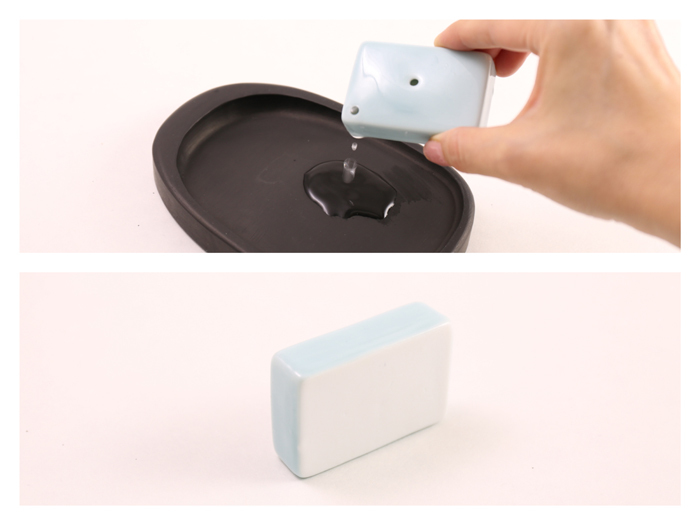 Porcelain water dropper makes a cute little addition to your toolset. Paperweight length perfectly matches width of calligraphy paper. 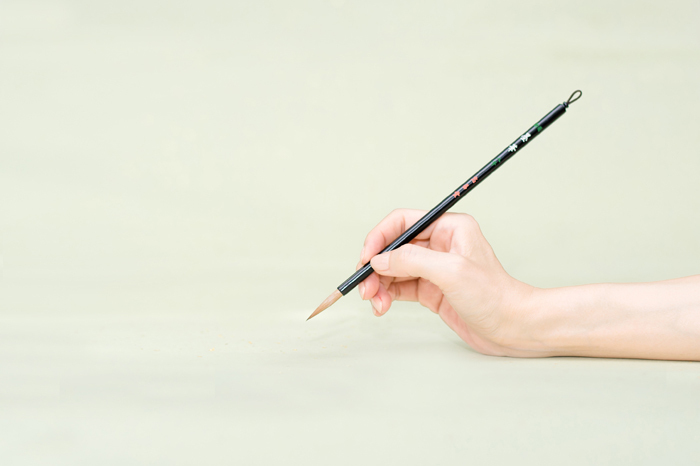 Writing surface is 2mm thick, giving it nice resistance against the pressure of the brush. 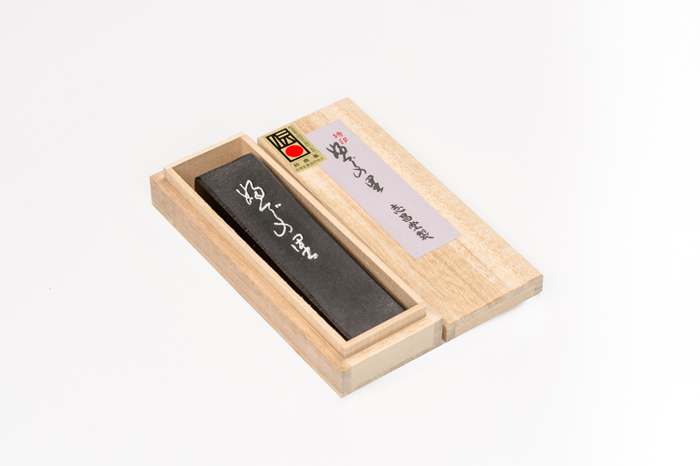 Calligraphy paper designed to reduce ink bleeding, best used for practicing regular script. Case provided for storage of tools. Vinyl cover fits around plastic case. External vinyl cover is shock-resistant and keeps contents secure. 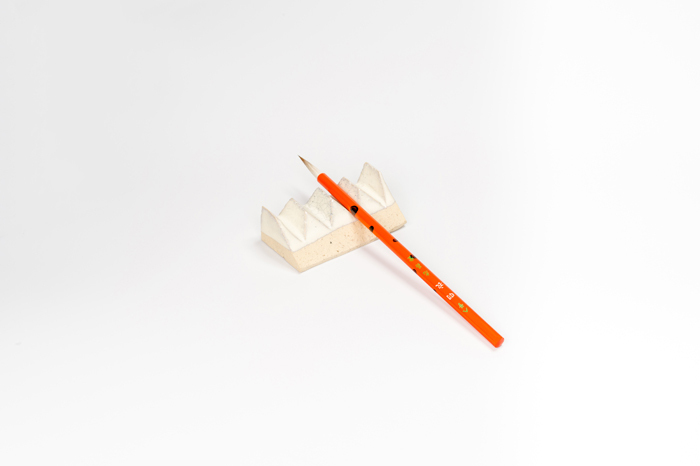 Brush rest crafted from porcelain. Choose from rouge/navy for Cover color. Case beautifully crafted from empress tree wood. 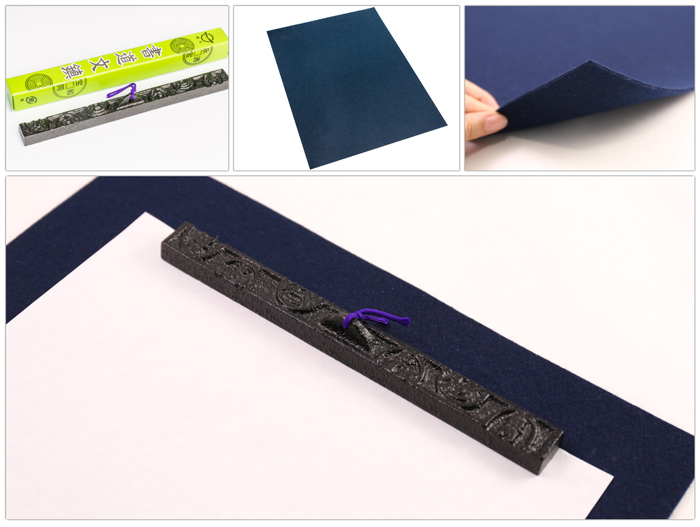 All contents and specially selected, high-quality tools designed for use with Japanese traditional hand-crafted paper. These tools are designed to last for many years of practice. Get the best tools to unlock your true skill! 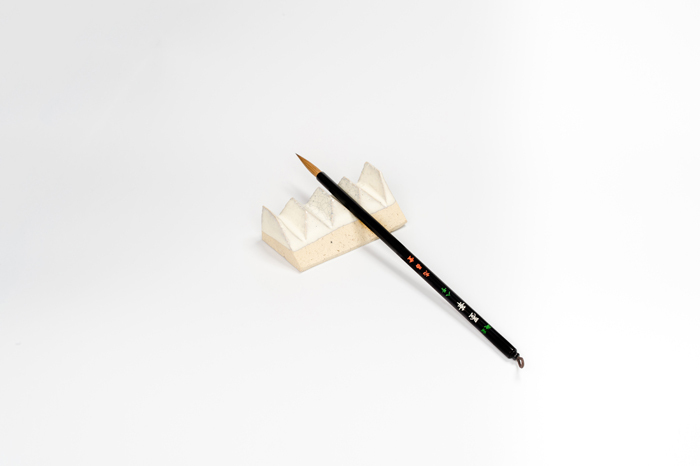 Brush specially selected for intermediate-advanced students. 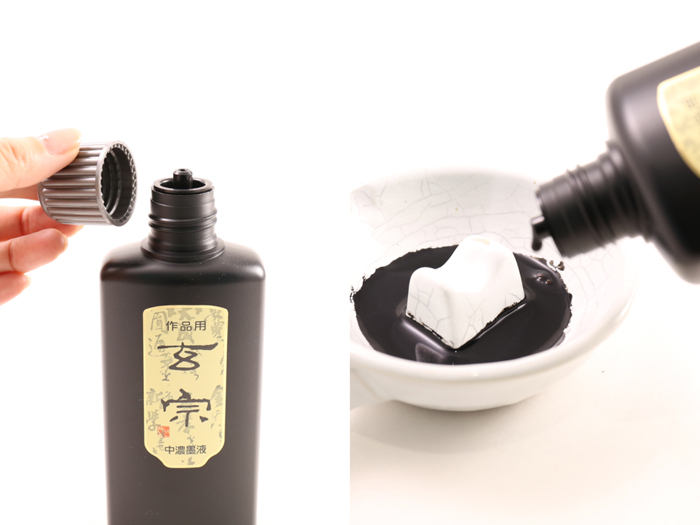 Liquid ink can be used for both practice and final works. 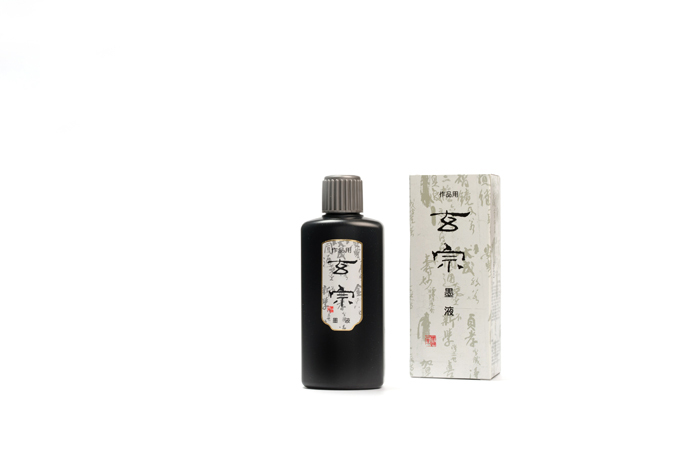 Suzuka ink handmade by traditional craftsman. Creates a superb, lustrous black pigment and is the pinnacle of oil soot inks. 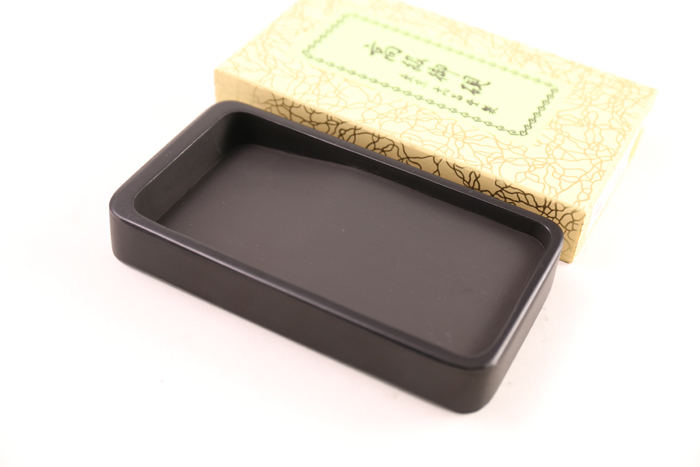 Comes in empress tree wood case to protect from moisture. Water dropper beautifully crafted from celadon porcelain. Paperweight has some heft to it and is adorned with numismatic pattern. 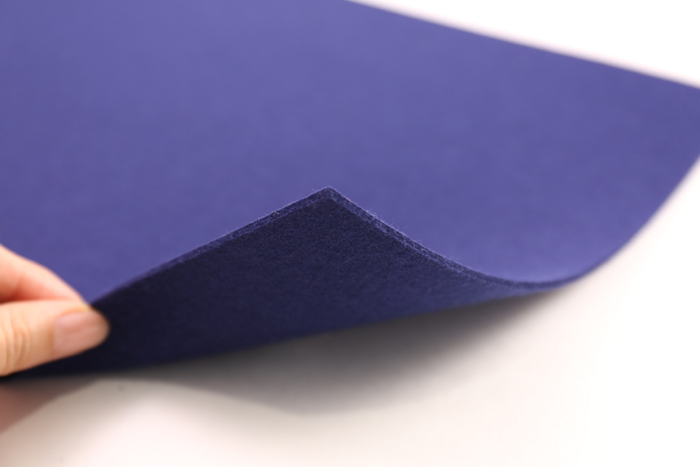 Writing surface made from high-quality Momoyama felt. 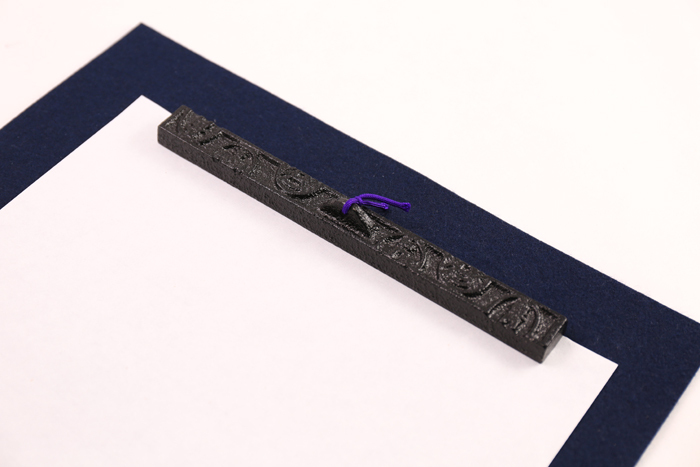 At 2mm thickness, it supports the calligraphy paper well and makes for easy writing. 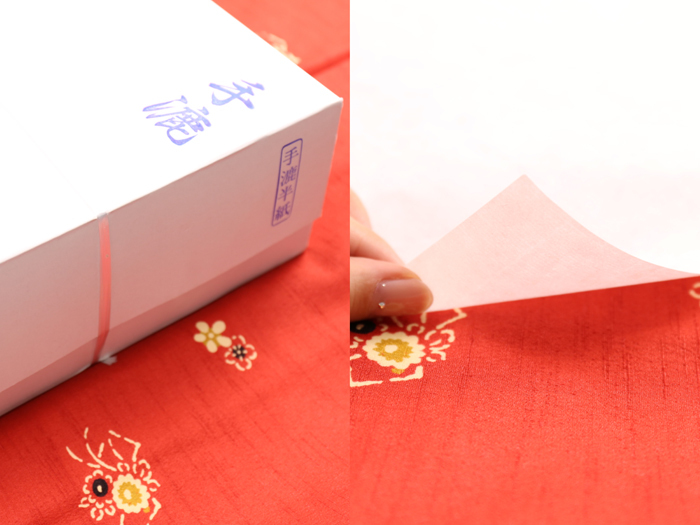 Machine-crafted calligraphy paper designed to prevent ink bleeding and is best for practice works. 300 sheets included. 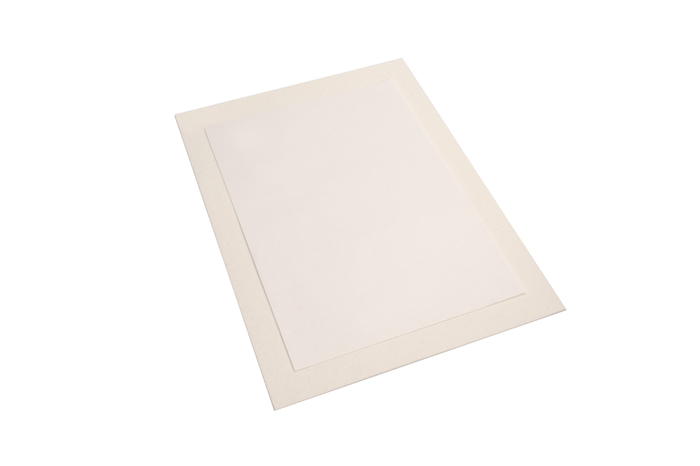 Set also includes 100 sheets of high-quality handmade paper for creation of final works. You can feel the difference in paper quality. 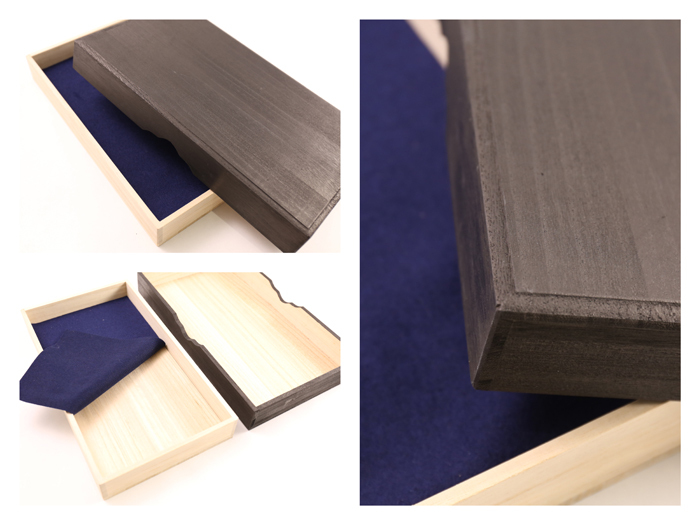 Empress tree box for storage of calligraphy tools. 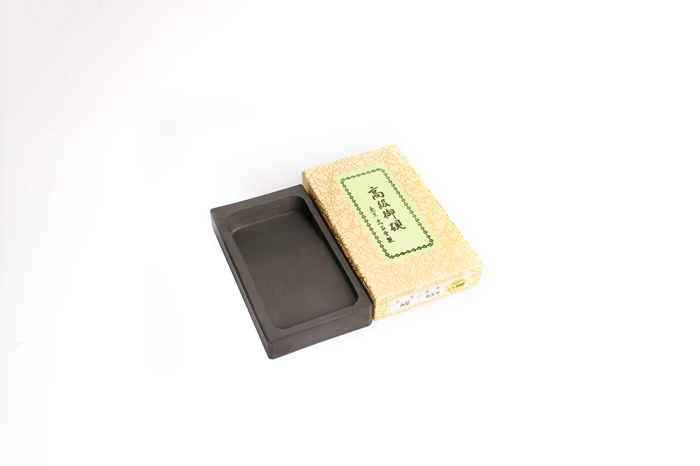 Empress tree wood protects tools from mold, moisture and insects. The smooth wood grain finish gives it a real sense of quality. Brush rest made from white porcelain. 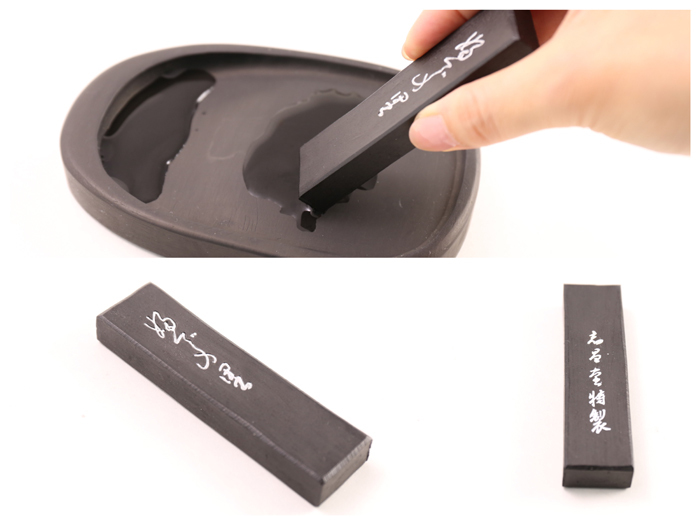 Japan-made (Hiroshima Kumano), fully hand-crafted Shishodo brand brush. A fairly short tip with reliable resilience. Best for children and beginners making practice works. 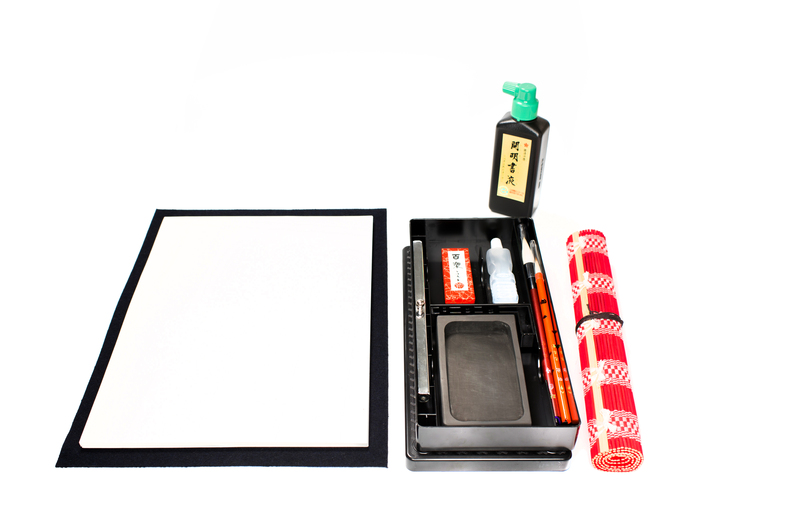 Recommended for drawing regular script characters on calligraphy paper. 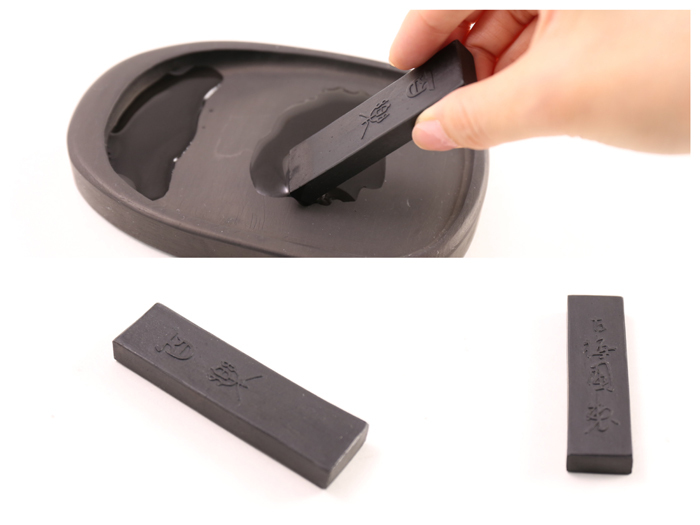 Japan-made (Hiroshima Kumano), fully hand-crafted Shishodo brand brush. 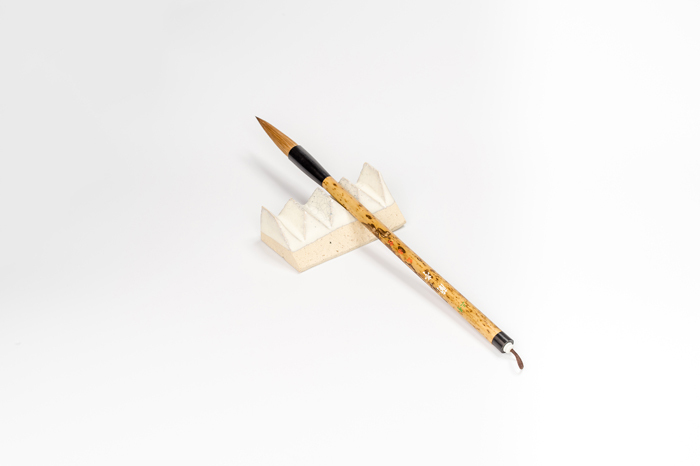 This brush is characterized by its sharpness and ablity to create smooth lines. 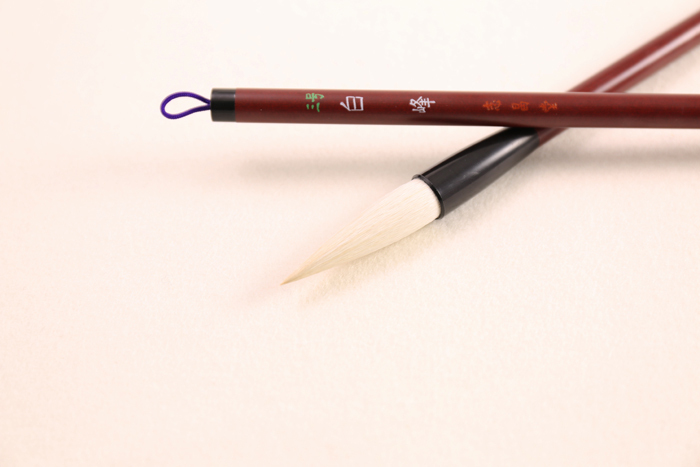 Mid-size brush tip perfect for practicing calligraphy fundamentals. Recommended for drawing regular script and semi-cursive characters on calligraphy paper. 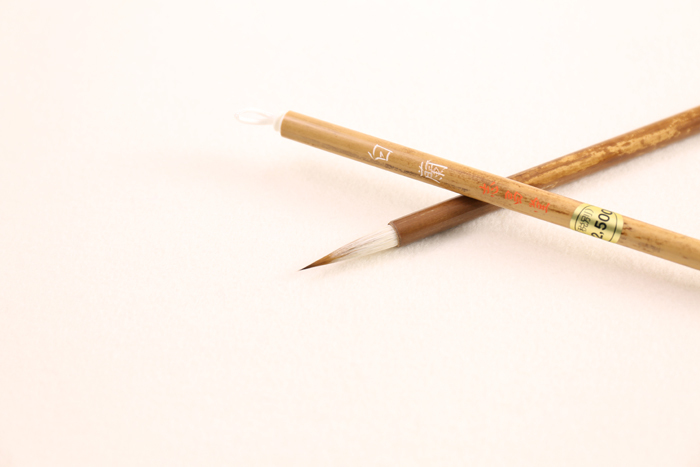 Brush tip has superior resilience, pefect for writing to calligraphy paper. The longer tip also allows for creation of broader characters. Mainly constructed of high-quality white horse hair. 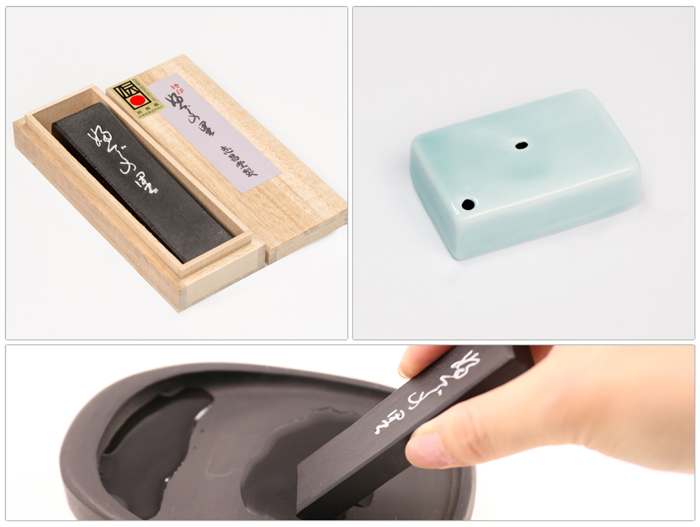 ・Manufacturer：Japan-made（Hiroshima Kumano）　fully hand-crafted Shishodo brush. ・Features：Fairly short tip with reliable resilience. Best for beginners. Perfect handle size--not too fat, not too thin--to make it easy to hold for kids and adults alike. Handle length is also just long enough to give a good sense of balance. 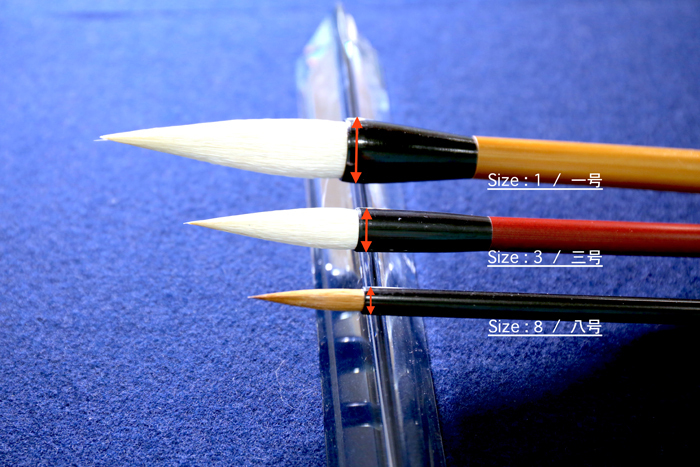 3-go (三号) represents the diameter of where the brushtip meets the handle. 3-go equals a diameter of 13mm, and can comfortably write 4 characters to a sheet of calligraphy paper. The largest the number, the thinner the tip of the brush. 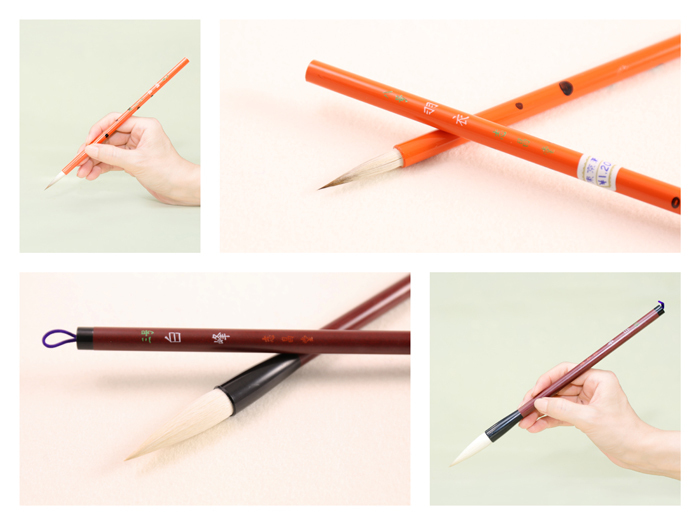 ・Features：Mid-size brush tip has resilience, making it easy for beginners and intermediate students to create smooth lines. 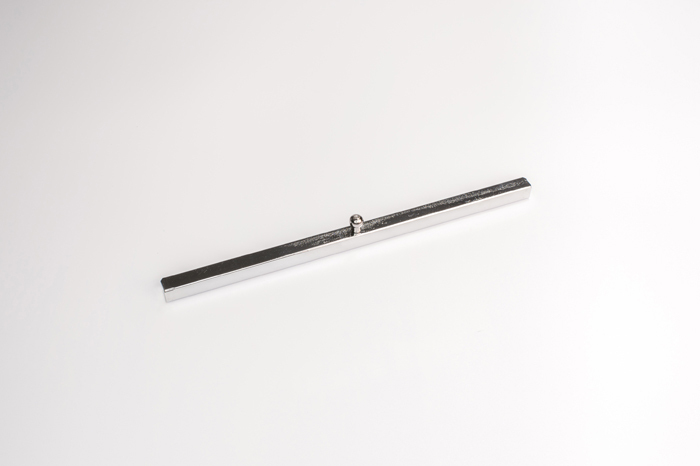 Slightly thin handle allows for smoother writing. Handle also possess longer than average length, making it a better fit for adults rather than children. 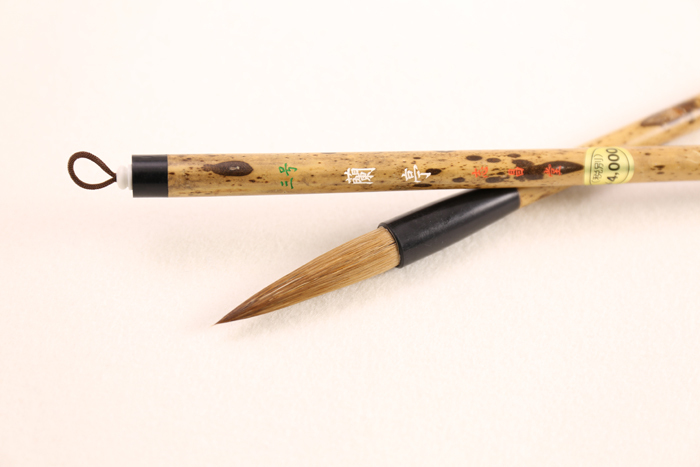 Brush style accentuated with Hanchiku (斑竹) bamboo pattern on the handle. ・Features：The longer tip gives more flexibility in writing. 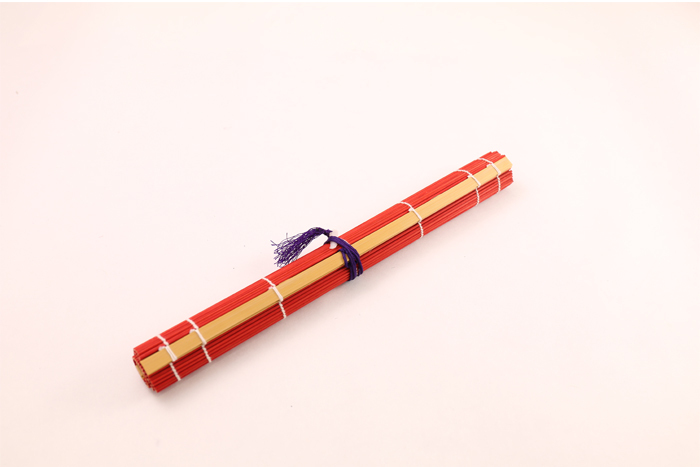 Beginner through advanced level students can enjoy writing both thin and broad characters. 2-go size handle is on the thinner side, making the brush easy to handle. The brush tip is a little longer compared with 3-go tips, giving the overall brush an elongated feel. 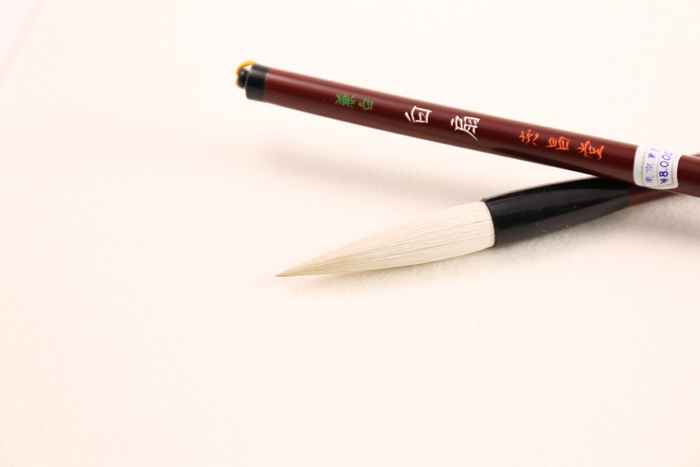 2-go (二号) represents the diameter of where the brushtip meets the handle. 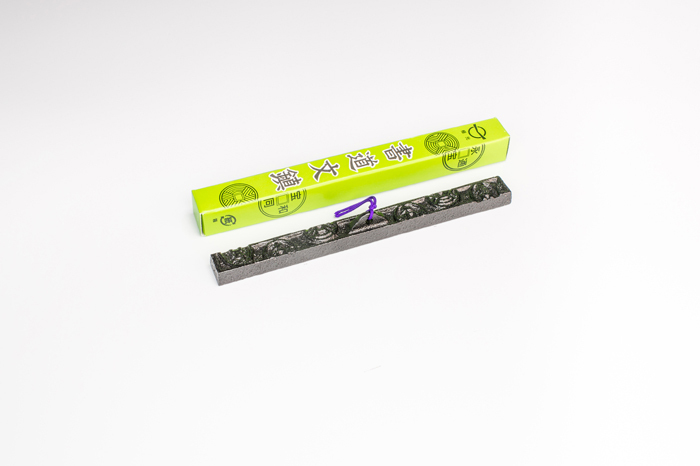 2-go equals a diameter of 14.5mm, and can comfortably write 2-4 characters to a sheet of calligraphy paper. A soft brush with good resilience and friction against the page, making it perfect for writing thin characters and hiragana/katakana. Cat-hair brushes with some black in the tip are said to be good quality. A focused tip with some firmness, this brush provides a comfortable writing experience for beginners. Best for writing names and thinner characters. 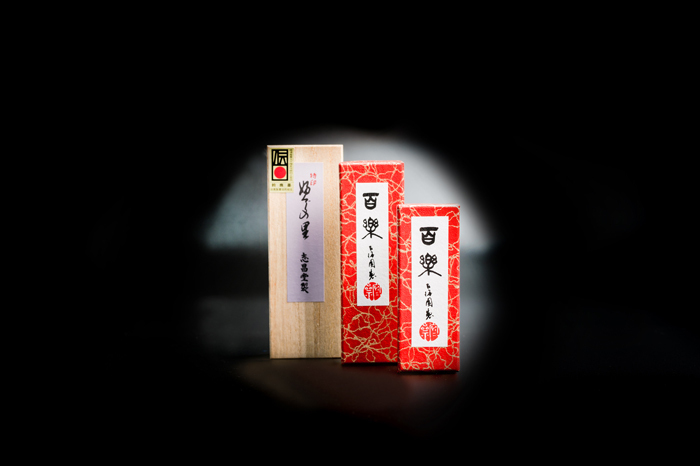 Japan-made (Hiroshima Kumano) Shishodo brand brush fully hand-crafted from start to finish by licensed crafstmen. 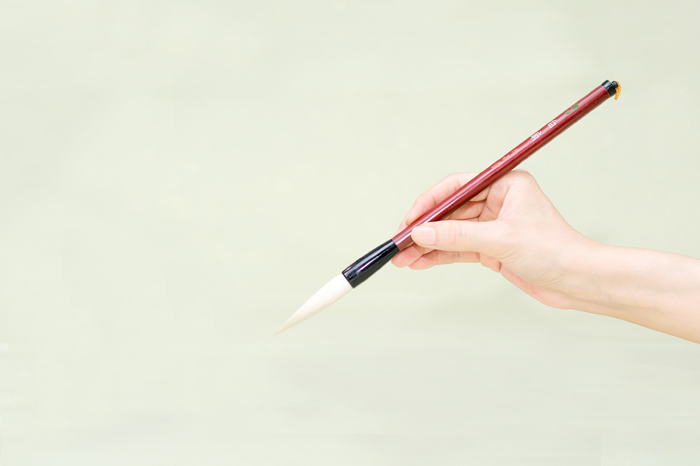 Brush tip possess superb resilience, making it perfect for writing names and thinner characters. ・Features：A thin tip for writing thin characters. A good starting brush for students unfamiliar with thinner style brushes. 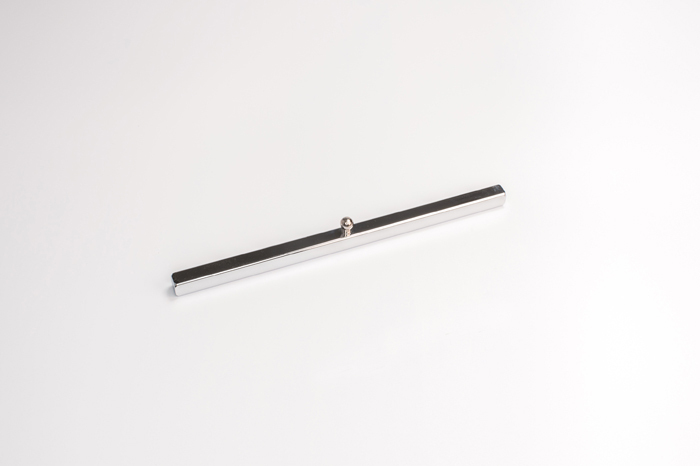 The handle is lacquered and has a nice, shiny texture. Both the tip and handle are on the short side, making it easy for children to handle. 8-go (八号) represents the diameter of where the brushtip meets the handle. 8-go equals a diameter of 6.7mm, and commonly used to write names. ・Features：The brush tip is on the longer side, and is firm enough for thinner characters. 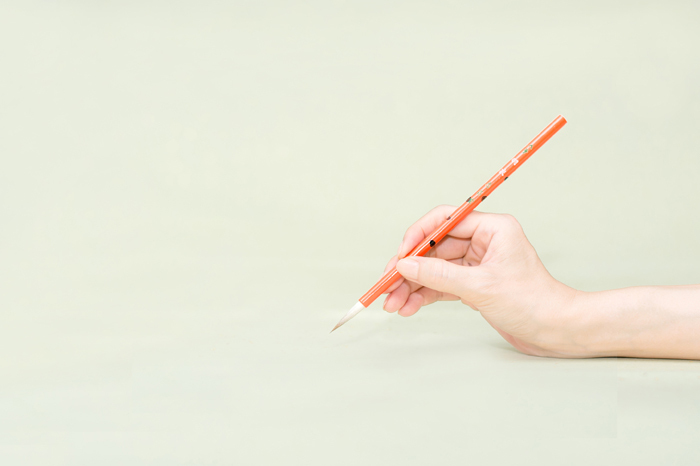 Even students holding a thin brush for the first time will get clear dots and lines. 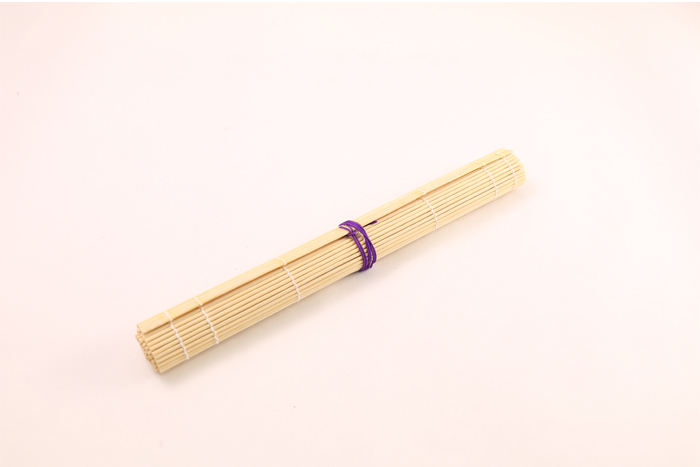 The handle is adorned with Hanchiku pattern modeled after bamboo. The full brush has great stability without feeling too light. The handle is a little on the long side, but the firmness of the tip keeps it easy for children to control. 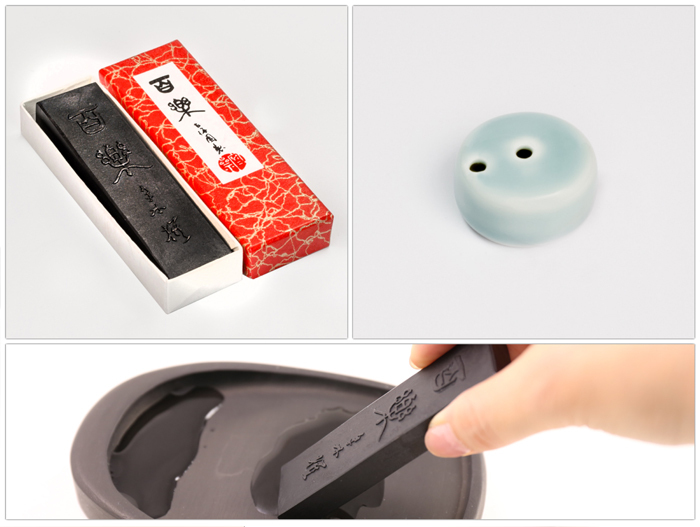 ・Manufacturer：Japan-made（Hiroshima Kumano） fully hand-crafted Shishodo brush. ・Features：A longer tip with superb resilience great for beginner-advanced students. Also usable for practicing sutra. The handle possesses a smooth grip, and despite its length, its light feel makes it easy to use for long periods without tiring the hand. It's longer handle, however, makes it a better fit for adults. 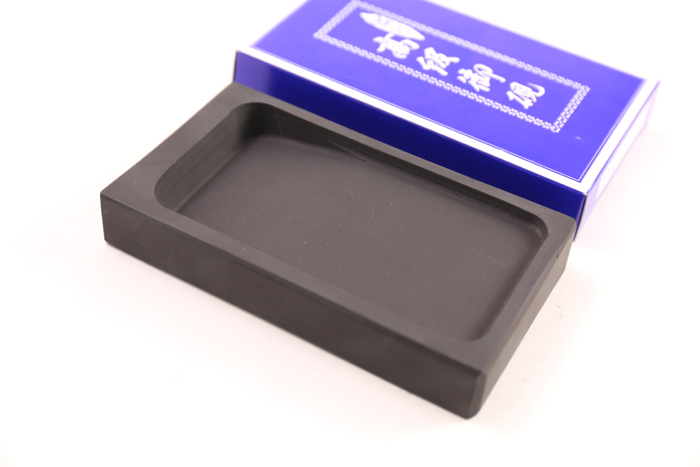 Inkstones are largely divided into China-made inkstones and Japan-made inkstones. 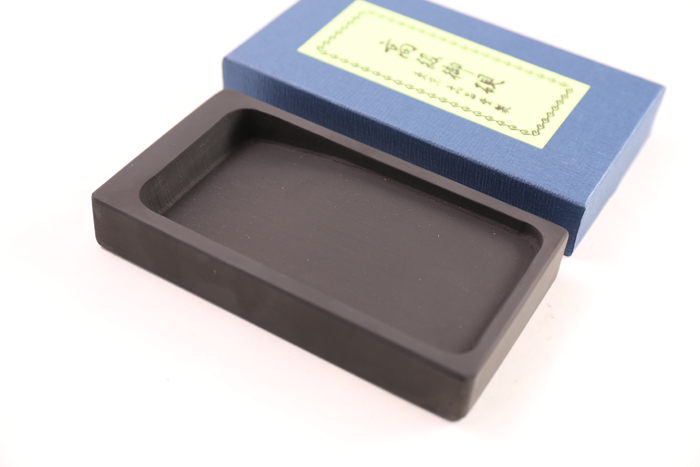 Inkstones have a longer history in China, with some carved out of precious minerals, making them treasured possessions. 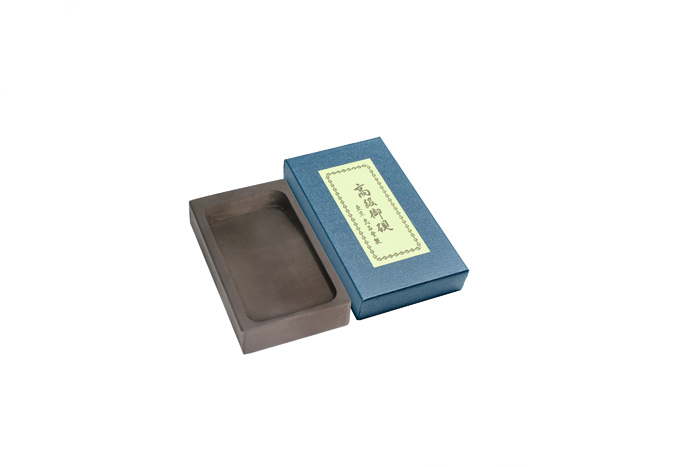 The inkstones provided here are carved and manufactured in China, and then quality inspections are conducted in Japan. 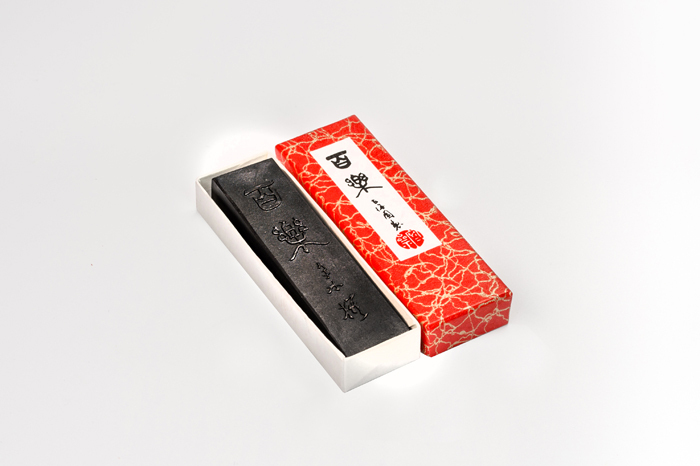 Much of the process takes place outside of Japan, which means the price is low, but these are made from real stone and have the texture needed to grind solid ink blocks. 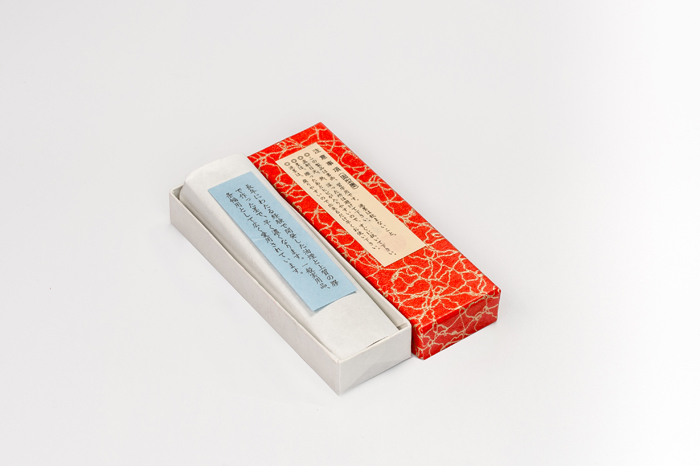 ※四五平 (shigohira） corresponds to an inkstone size of 135x75mm, which is recommended for young children and beginners for writing 5-6 characters. 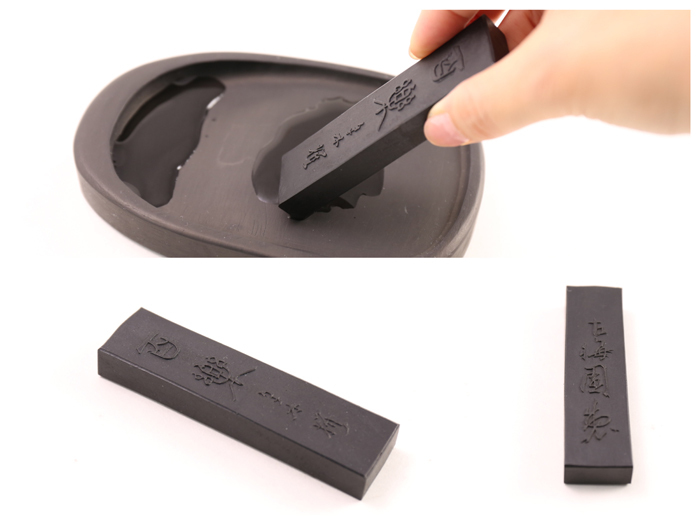 ※Some low-cost inkstones are made not with stone, but with cement, ceramic or plastic, making them unable to properly grind ink blocks. Different inkstones may be difficult to tell apart for beginners. Feel free to compare the different options Shishodo has to offer. 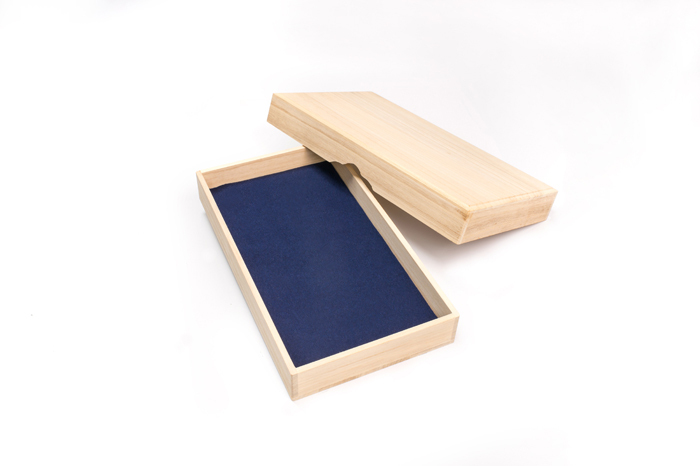 High-quality inkstone manufactured in Japan with a surface that is gentle on ink blocks but grinds well. 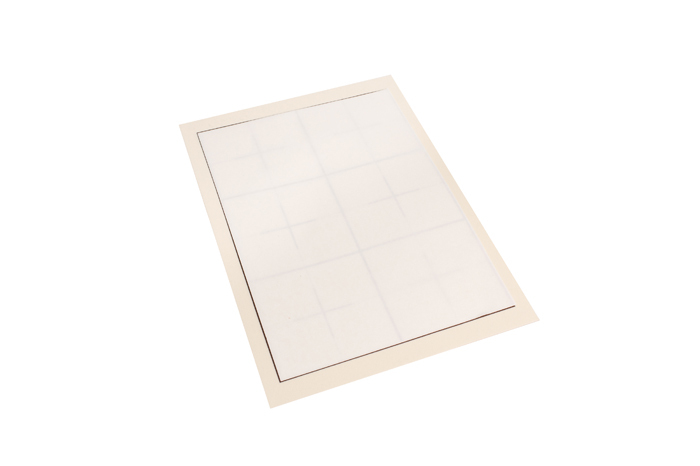 Shape of inkstone gently curves at the corners. Surface has a nice luster. 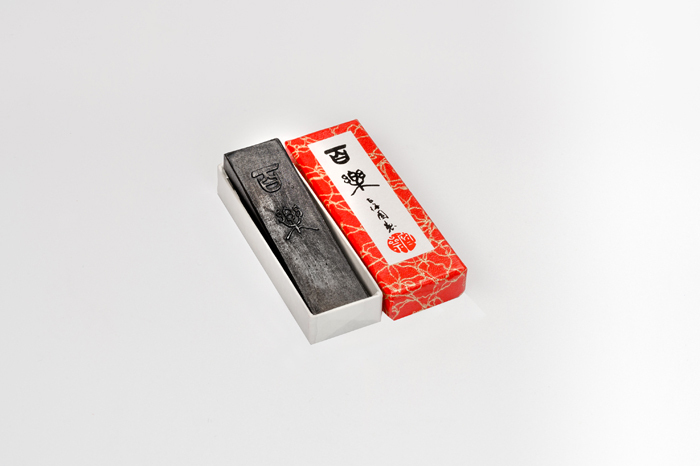 Established in 1577, Kobaien is Japan's oldest inkstick manufacturer. 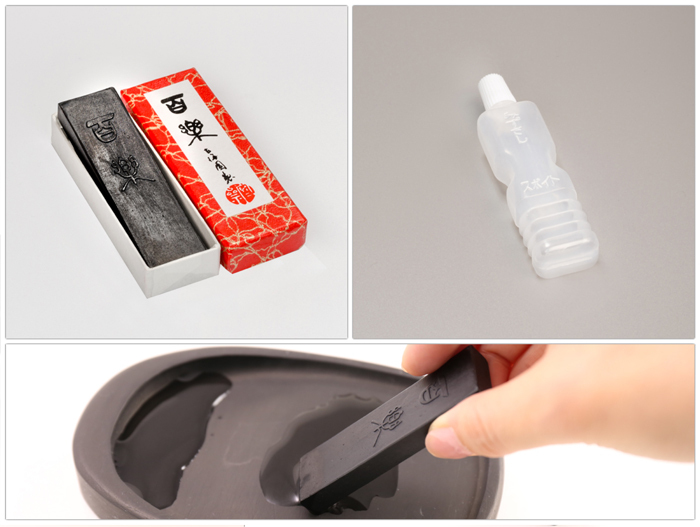 There store in Nara has been registered as a Tangible Cultural Property Over their long history, they have developed their signature process of combining oil-soot and high-quality glues to make quick thickening inksticks. 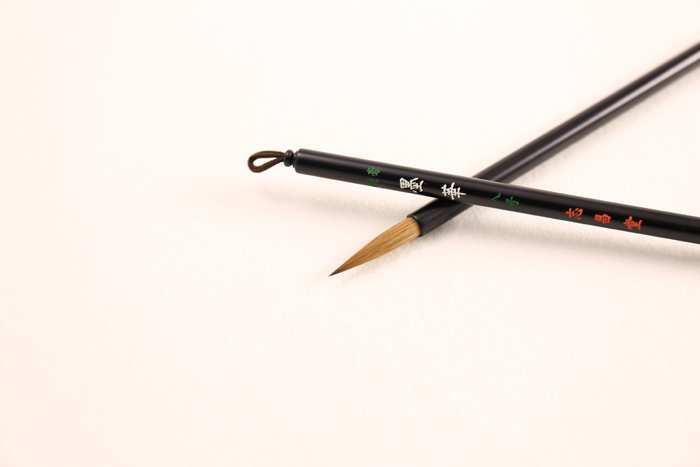 Their inksticks are loved by many and used in all sorts of calligraphy works on a variety of media. Recognized as a traditional handicraft by the Minister of Economy, Trade and Industry. Suzuka ink comes from Suzuka city in Mie prefecture. Today, only one licensed craftsman of Suzuka ink remains. 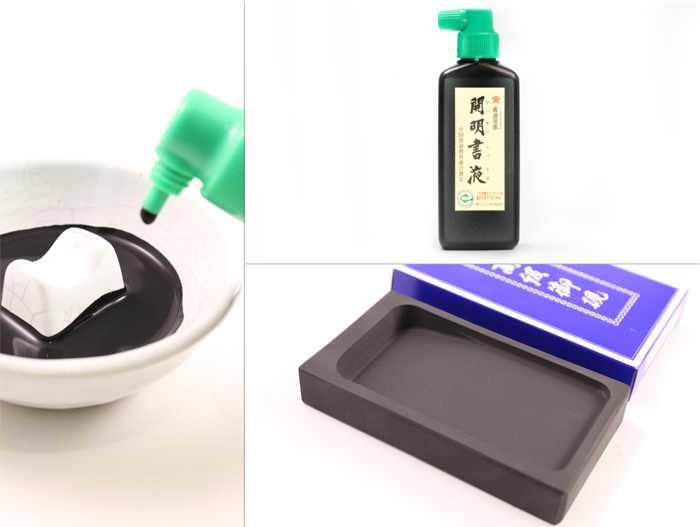 The history of Suzuka ink stretches back to the Enryaku era （between 782?806）, and over the years their high level of technology and quality has helped create numerous well-known and loved inks. 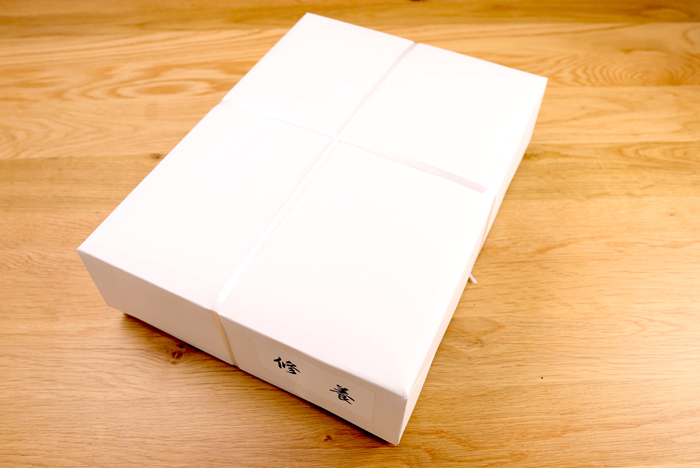 The second you open the box, the deep aroma of this ink will have you entranced. 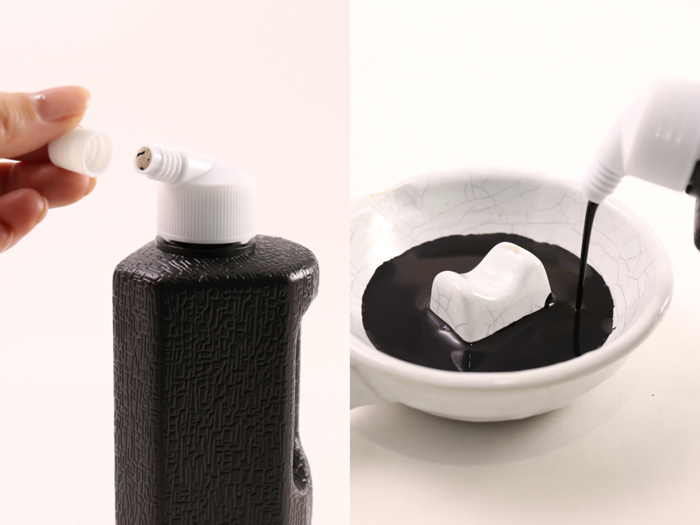 Made from oil-soot and high-quality glues. Applied thick, delivers a pure, lustrous black pigment. Applied thin, delivers delivers a deep brownish-purple pigment. Applied thick, delivers a pure, lustrous black pigment. Applied thin, delivers delivers a deep brownish-purple pigment. 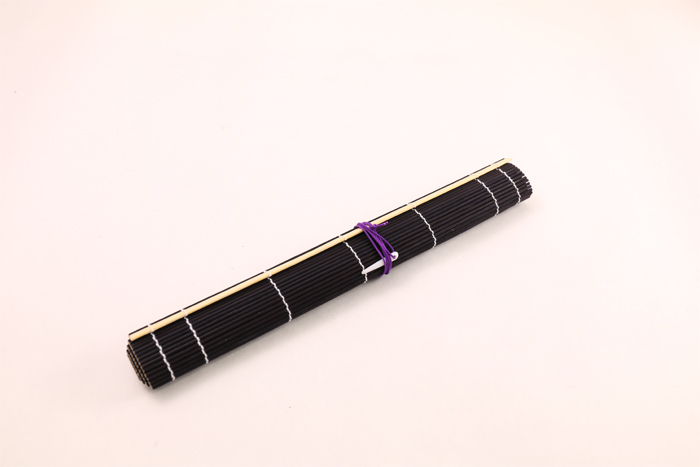 Best for a variety of works, such as kanji, kana or practicing sutra. Here is a comparison of the different sizes. This particular item is the right-most box. Applied thick, delivers a pure, lustrous black pigment. Applied thin, delivers a deep brownish-purple pigment. Here is a comparison of the different sizes. This particular item is the middle box. ・Features：Perfect balance of high-quality oil-soot and glues to create the pinnacle of oil soot ink. Delivers a superb luster with particulates from the manufacturing process giving it a slight reddish-purple hue hidden under its deep black pigment. Comes in empress tree wood box. 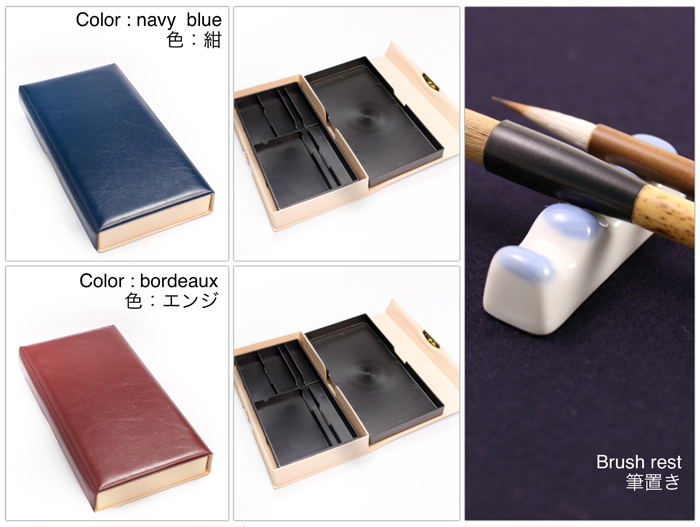 ※Box protects ink from moisture. 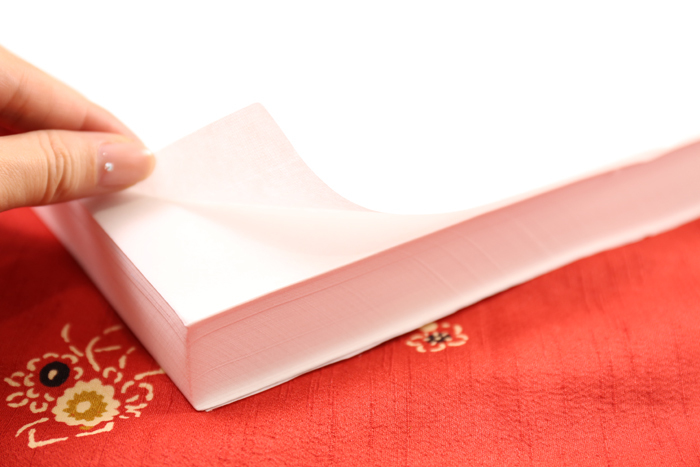 Ink gives off vibrant color with a superb thickness lending to its high quality. Perfect balance between sharp lines and bleeding to gives your works a unique style. 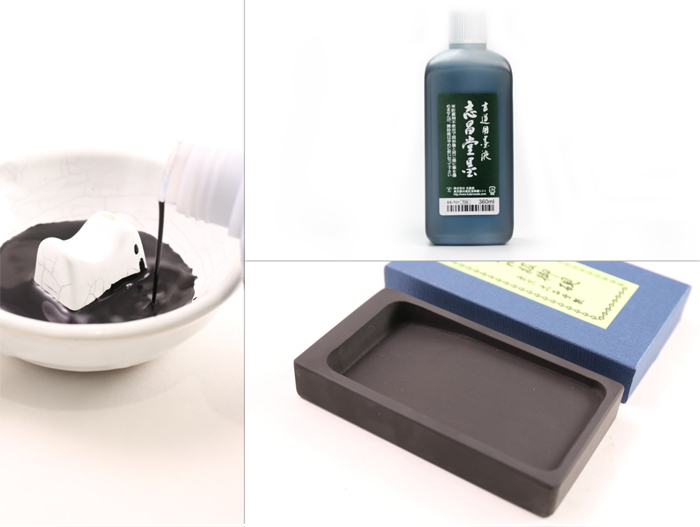 Modern Suzuka ink also grinds incredibly smooth, making it a widely-used favorite. Here is a comparison of the different sizes. This particular item is the left-most box. Pictured is the ink's color gamut. 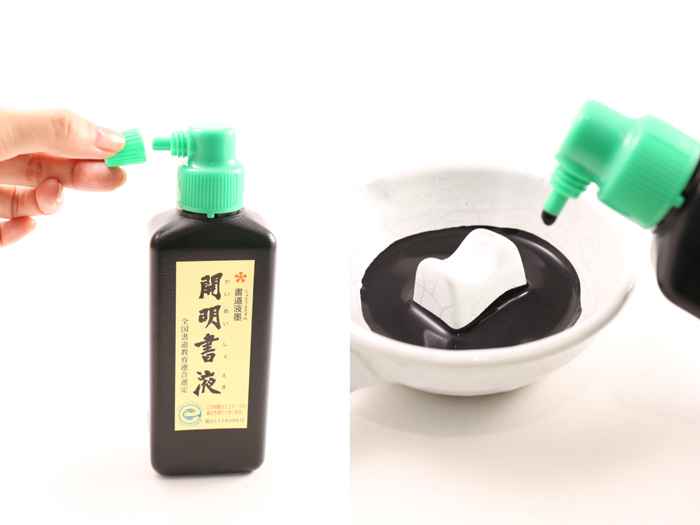 A well-known brand of liquid ink in Japan widely used by children. Designed to be easy on the brush, prevent bleeding and dry fast. A best seller since its release in 1969. A gentle brand of ink with no preservatives. 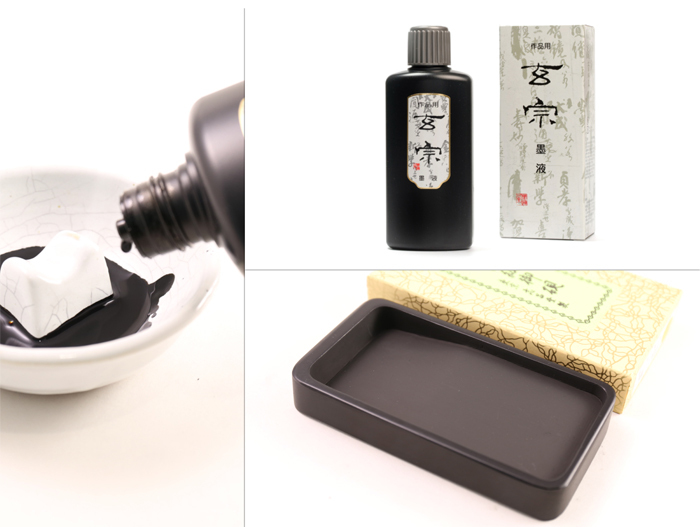 High-quality Japan-made ink using carbon black liquid ink. 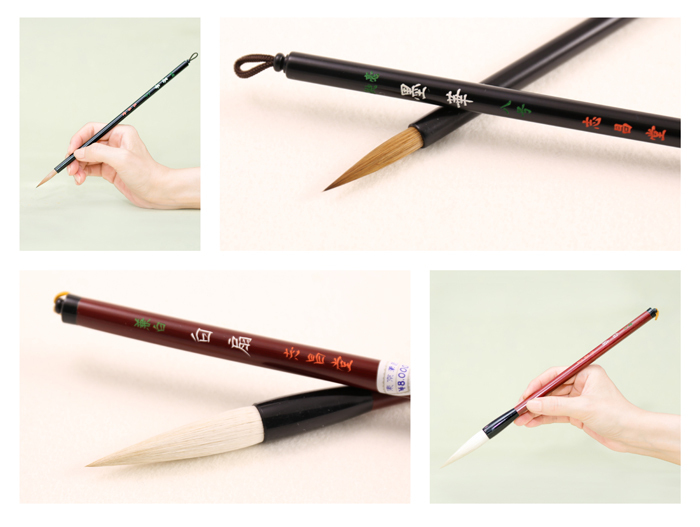 Great for both calligraphy practice and final works. A much-loved brand of liquid ink. 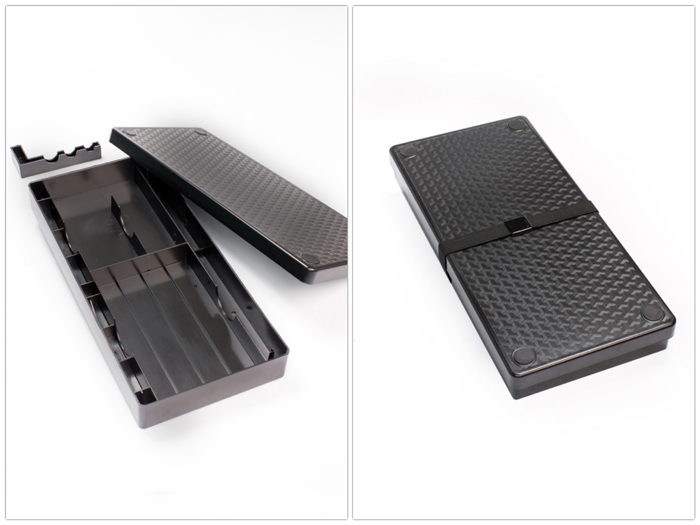 「Genso」 ink blocks are carefully designed to have optimal performance, elasticity, permeation and expressiveness. For first-time buyers, we recommend starting with standard thickness. Posesses good elasticity and flows right off the brush. Maintains its quality even under low temperates, making it a stable ink that will last you a long time. 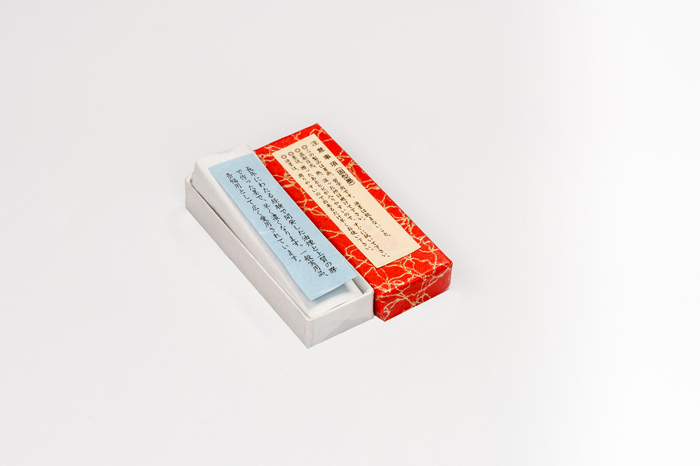 Best for practicing kanji, kanji/kana mixed writing as well as creating final works. ・Features：Uses synthetic stabilizer in place of glue. Synthetic stabilizer prevents ink from clotting under low temperatures and helps it last for many years. Keeps brush feeling light and dries fast. Opens to the side to prevent spillage. Excess ink can also be sucked back into the container. 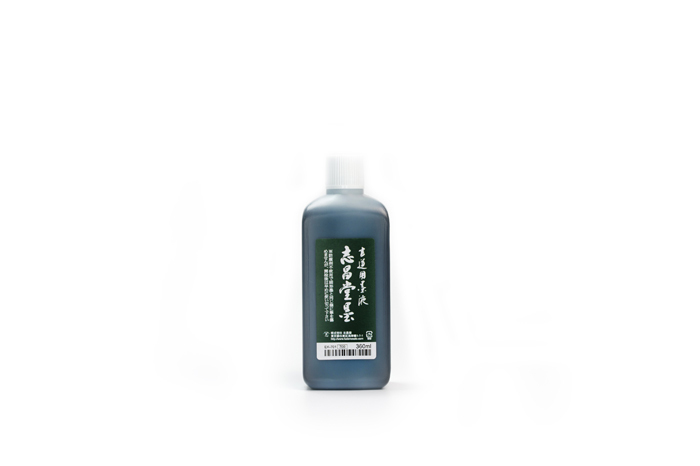 ・Features： Shishodo liquid calligraphy ink. A gentle brand of ink with no preservatives. Best used soon after opening. ※Carbon black is made from powdered inkstick and glue. In the past, pine soot and oil soot were commonly used, but modern inks use carbon black. Uses heavy oils such as those from petroleum and coal. While much of carbon black is imported from America, Shishodo uses cutting-edge techonlogy to produce extra-fine carbon black particulates. ・Features：Mineral direct-firing produces a strong black pigment with deep purplish-blue hue. Standard thickness（9.5% ink by volume）, do not further dilute. 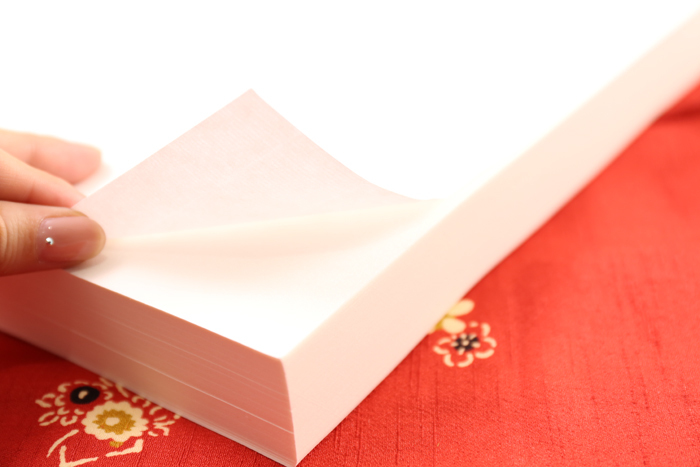 ・Note：Medium thickness （12.5% ink by volume） also available. 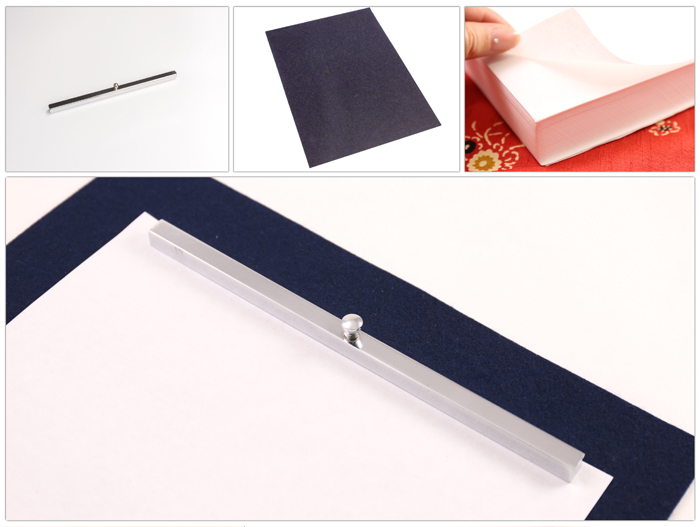 Easy to use ink for beginners, lets brush move smoothly across the page. Be careful, as excess ink cannot be easily returned to the bottle. 500ml bottles also available upon request. A much beloved brand of liquid ink. 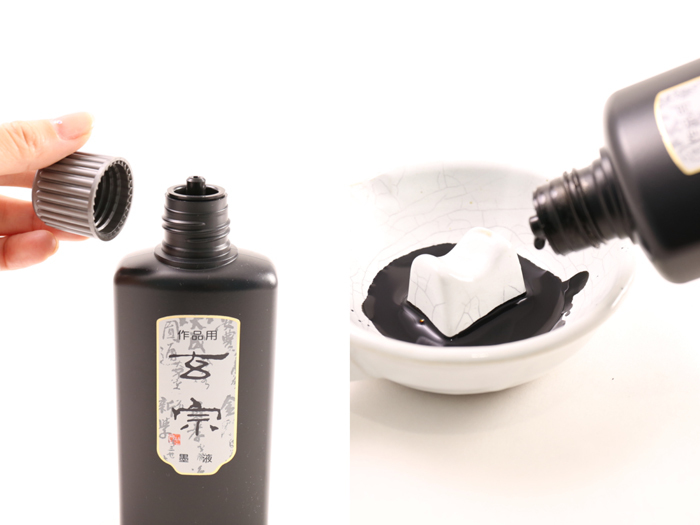 Kuretake uses a unique process with pure oil soot to create high-quality ink with extra-fine particulates. 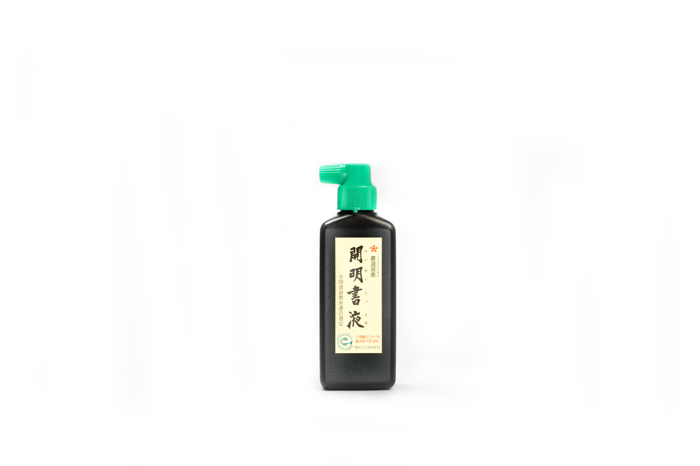 This creates a deep, elegant black pigment that is a standard of oil soot inks. Keeps the brush light and flexible, and won't damage the tip. 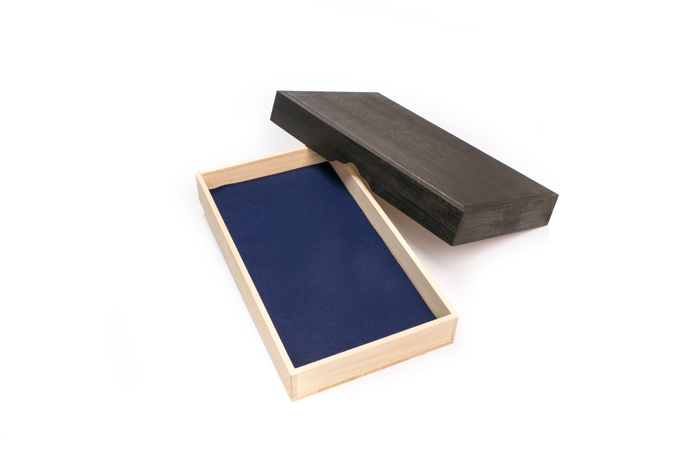 ・Features： Mineral direct-firing produces a strong black pigment with deep purplish-blue hue. Medium thickness （12.5% ink by volume）, do not further dilute. 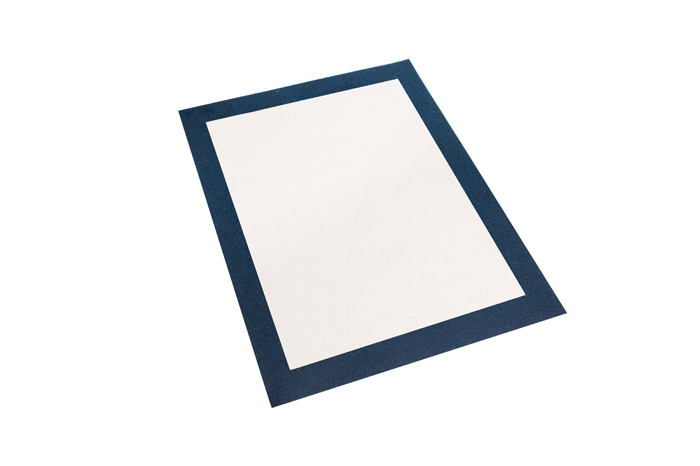 ・Note：Standard thickness （9.5% ink by volume） also available. 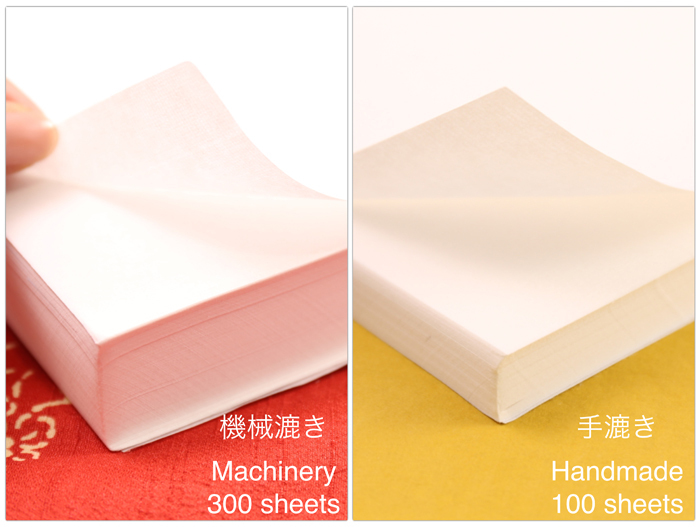 To thin medium thickness ink, mix with Genso standard thickness ink. Does not mix with products made with natural glues. Sideways opening makes it easy to pour and avoid spillage. 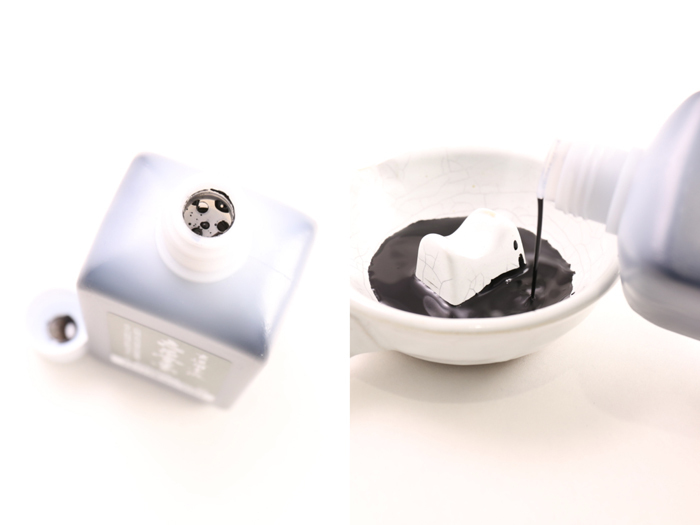 Excess ink can be sucked back into the bottle. 500ml and 1.8L bottles also available upon request. Prevents ink bleeding and is great for practice works, especially for writing regular script. 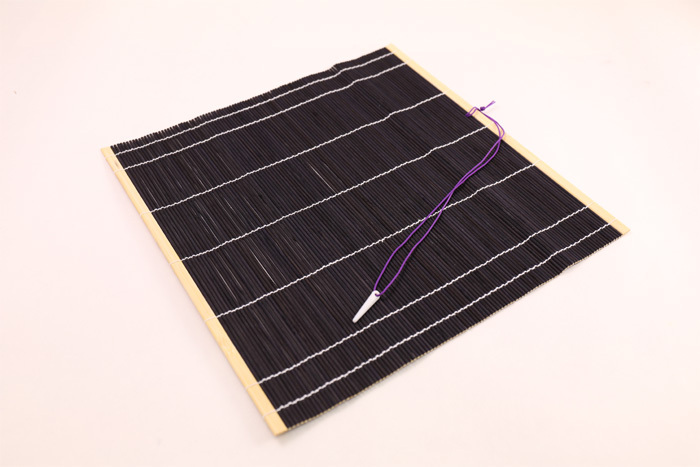 Designed for writing kanji, but also great for hiragana and katakana. Calligraphy paper handmade by a licensed craftsman. 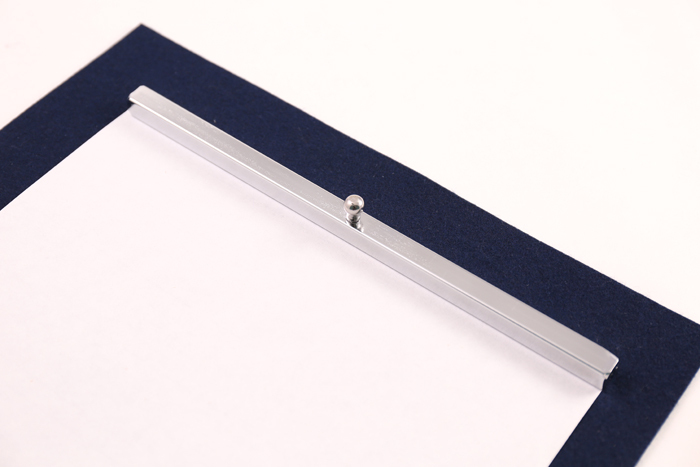 High-quality paper at an affordable price used for producing finalized work after completing practice. Slight thickness and reduced ink bleeding. 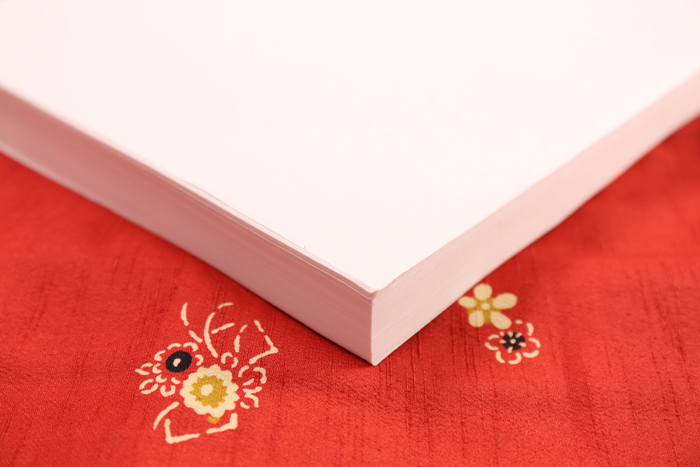 Compared with machine-crafted paper, handmade paper absorbs more ink and sees more bleeding, which gives characters more dimension. Comes wrapped without a box. This paper absorbs more ink, and it will seep through the back of the paper. 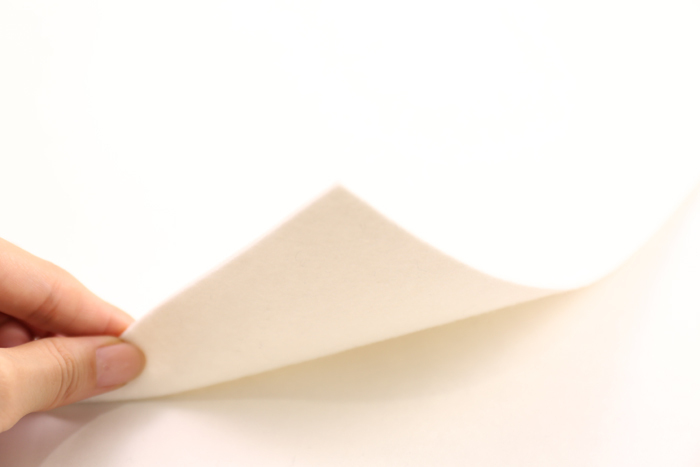 This gives characters more dimension, though some people still prefer paper where the back stays dry. A case for the storage of calligraphy tools. Case is made of plastic and comes with a thick, shock-absorbing vinyl cover. 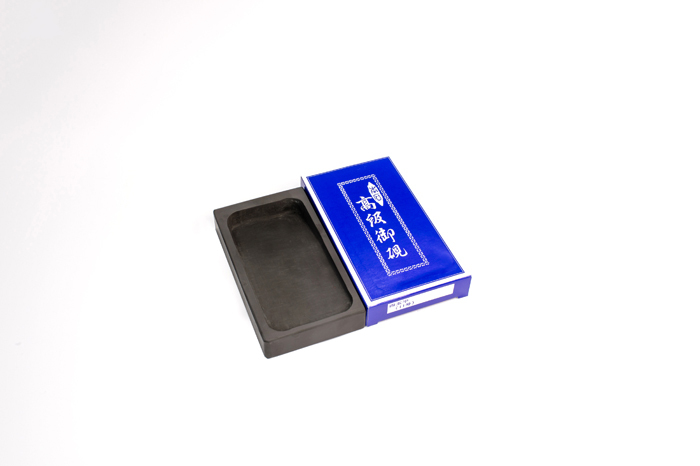 Empress tree box protects tools from mold, moisture and harmful insects. Made with a high-quality wood grain finish. Keep contents secure during transport. 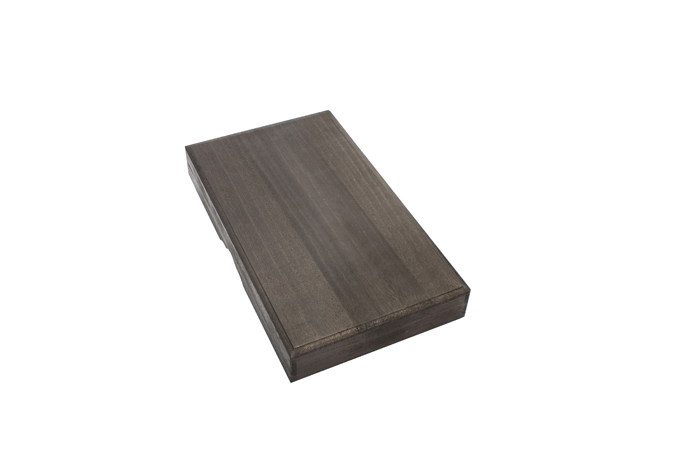 When humid, empress tree wood can absorb excess moisture, and when dry, it lets air breathe through the box. 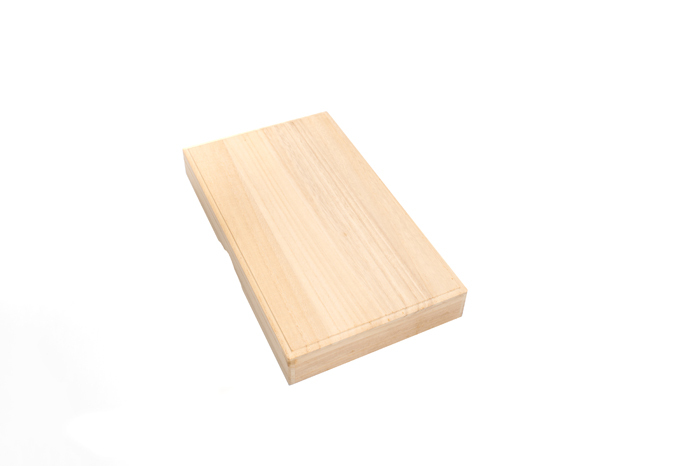 As a natural insect repellent, empress tree wood has been used since the Edo period in Japan to build drawers for the storage of clothing and jewelry. Nickel-plated to prevent rust. Metal knob attached for easy handling. 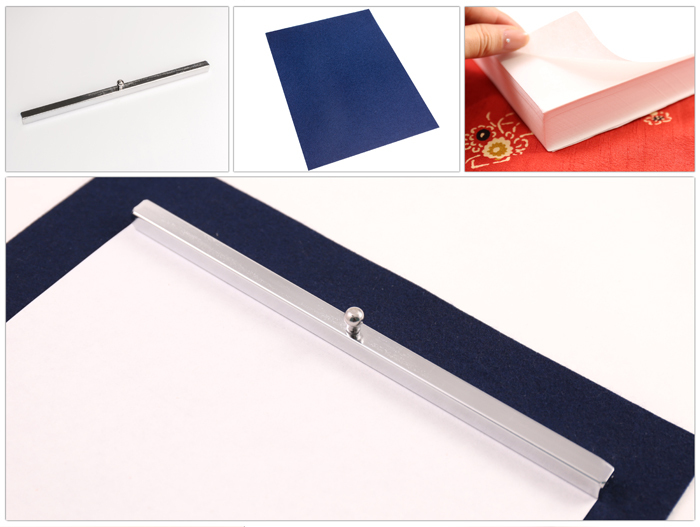 Sized for calligraphy paper, making it easy for kids to handle. 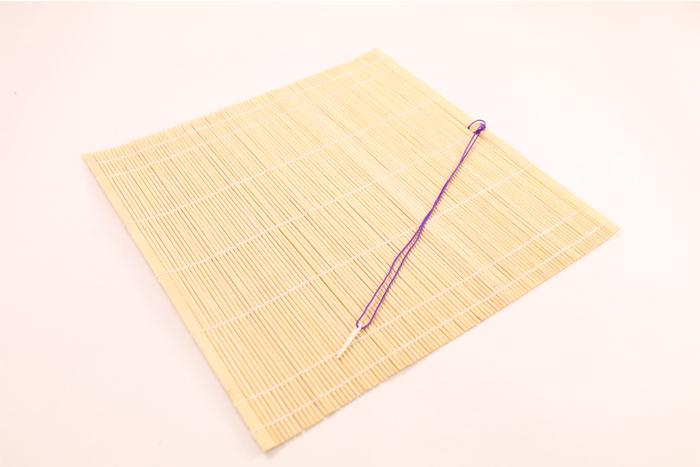 Simple design and perfect length and weight for use with calligraphy paper. Sized perfectly to the width of standard calligraphy paper. Metal knob attached for easy handling. Water dropper used to add moisture when grinding ink blocks. 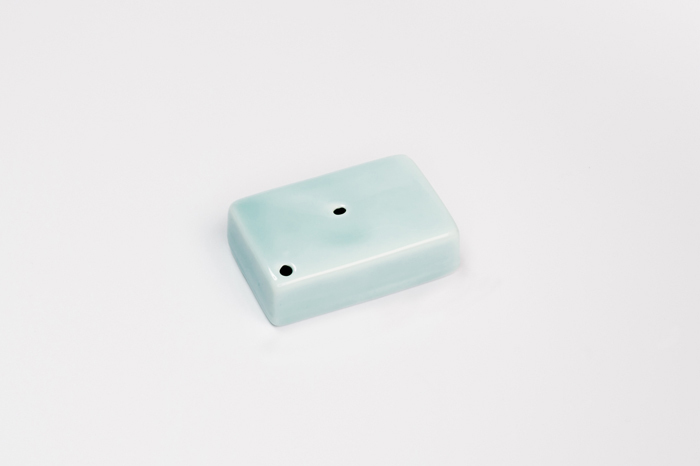 Its elegant blue hue comes is a product of celadon porcelain. Writing surface with grid as guide for writing 4-character or 6-character works. Useful for getting used to the placement and balance of characters. 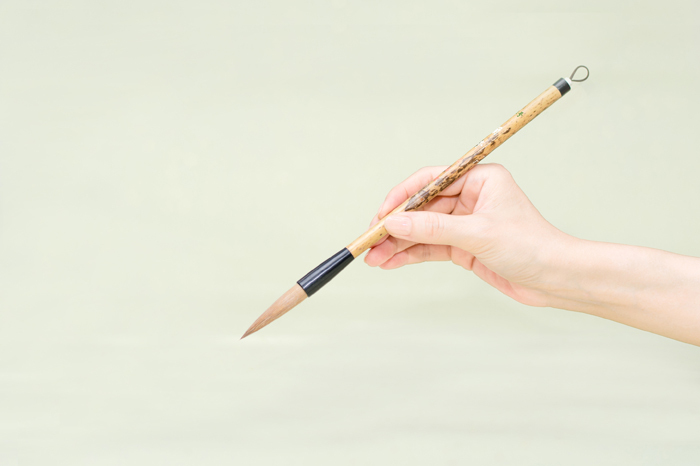 Has more weight and thickness than standard paperweights, and its unique design sets the mood for calligraphy practice. Adorned with Japanese numismatic pattern. A cute, compact water dropper. Version for writing 6-character works. 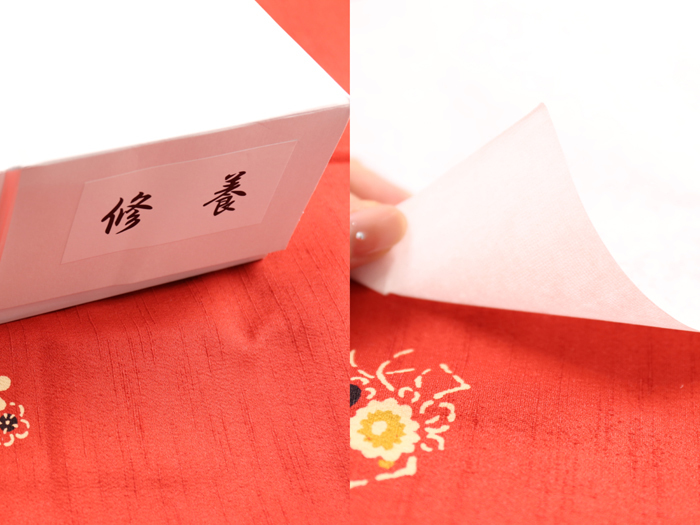 When placed under calligraphy paper, the lines show through and guide the placement of characters. Writing surface for standard size calligraphy paper. Made from nylon and wool. 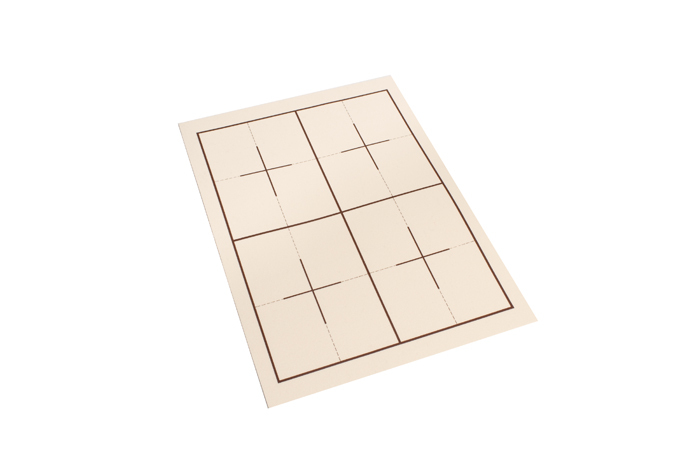 Durable, and resistant to stretching and shrinking. 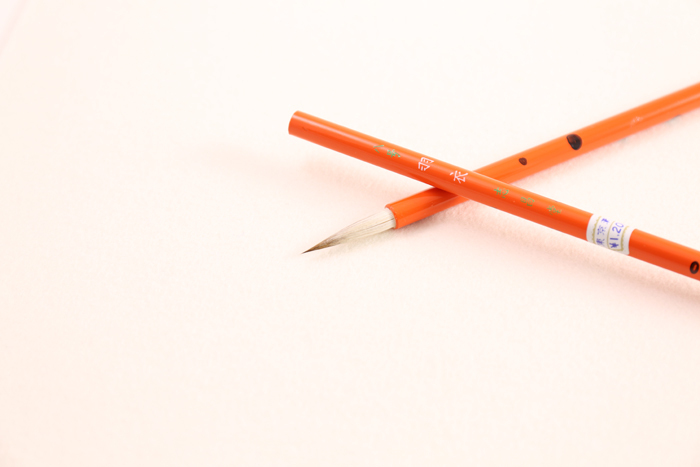 At 2mm thickness, it holds firm against the brush and it easy to write upon. 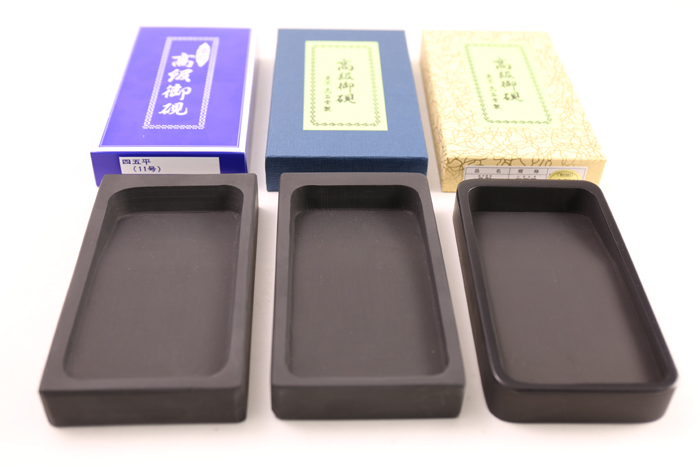 Produced with high-quality Momoyama felt. Superb elasticity and very gentle on the brush. Fits generously around the page and its thickness makes writing comfortable. Standard size writing surface for standard calligraphy paper. Price changes depending on thickness. 2mm thickness is good quality. ・Note：Dry clean only. Can be ironed, but do not use steam. 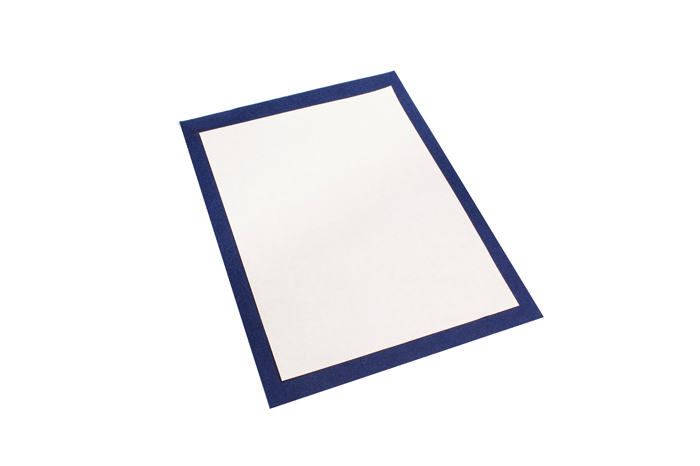 Slightly larger than standard surfaces, fits generously around calligraphy paper. 2mm thickness is high quality. 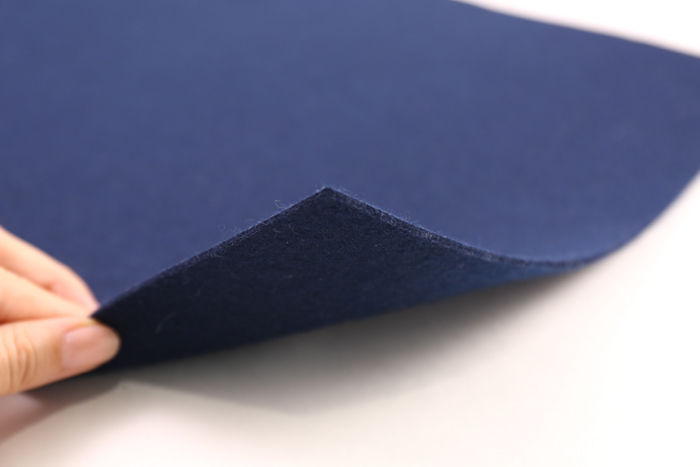 This "pure wool" writing surface is actually 80% wool… A 100% wool surface would not be fit for calligrahphy use, so 80% is essentially the maximum. 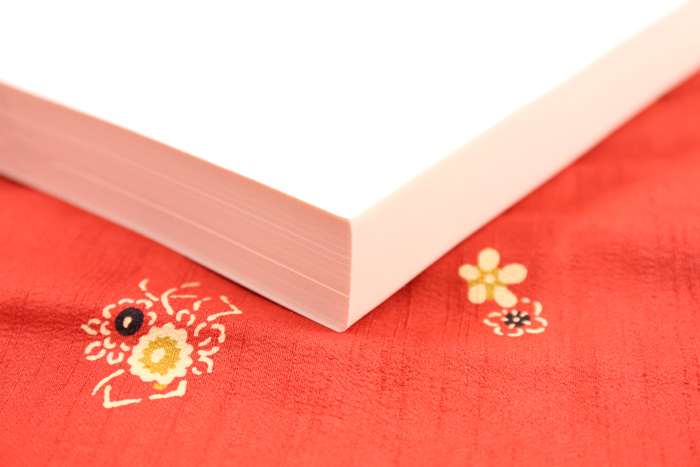 White surface looks beautiful against paper.. 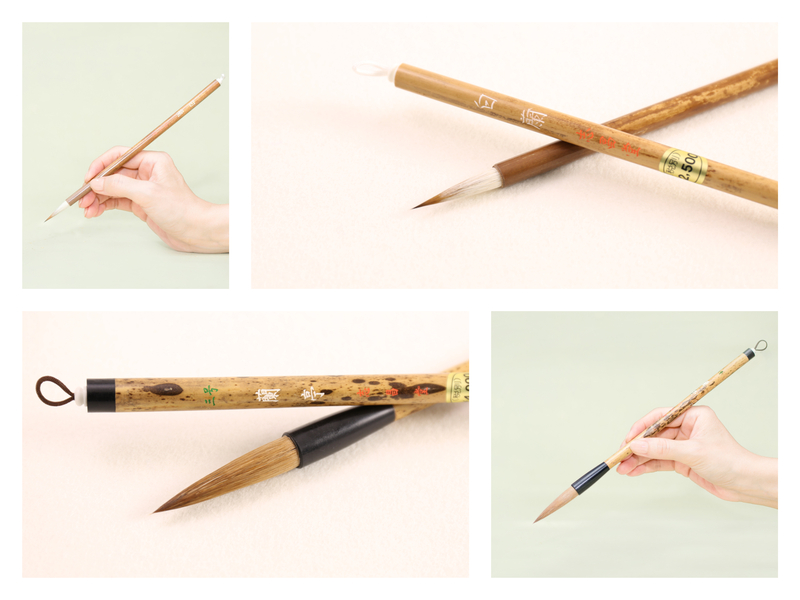 Recommended for those who crave beauty in the design in their calligraphy tools. 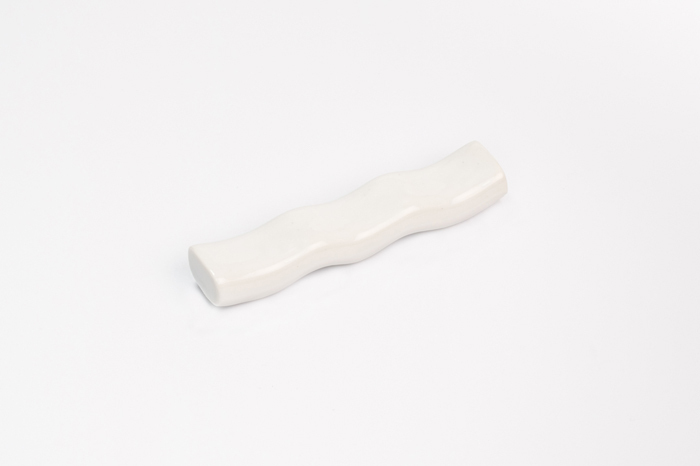 Porcelain brush rest with a simple, yet elegant design. 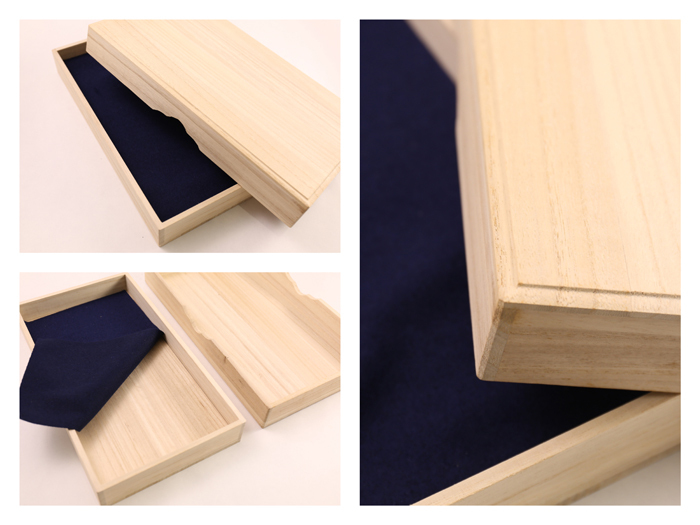 Standard size bamboo storage mat. 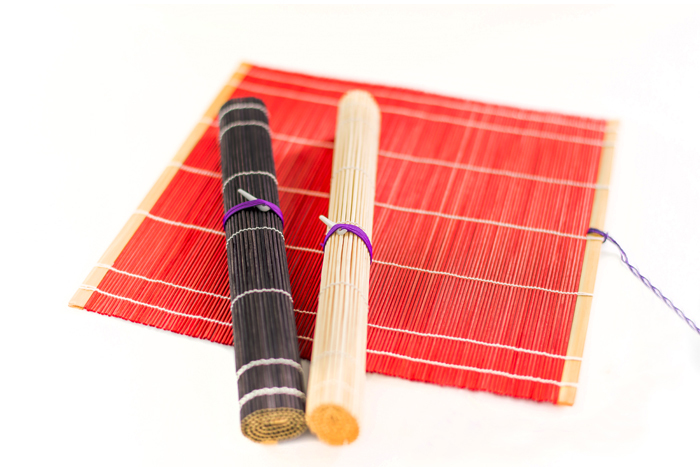 Bamboo storage mat wraps around the brush to keep the tip secure during transport and storage. 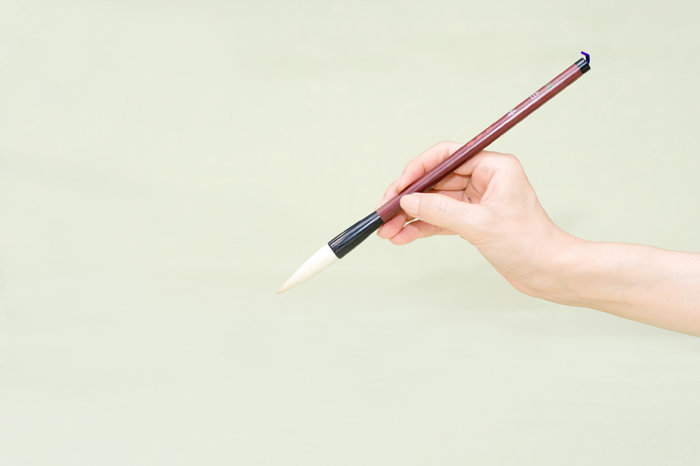 After ink has been fully rinsed from the brush, hang the brush to let it dry naturally. Once completely dry, wrap it inside the bamboo mat for storage. 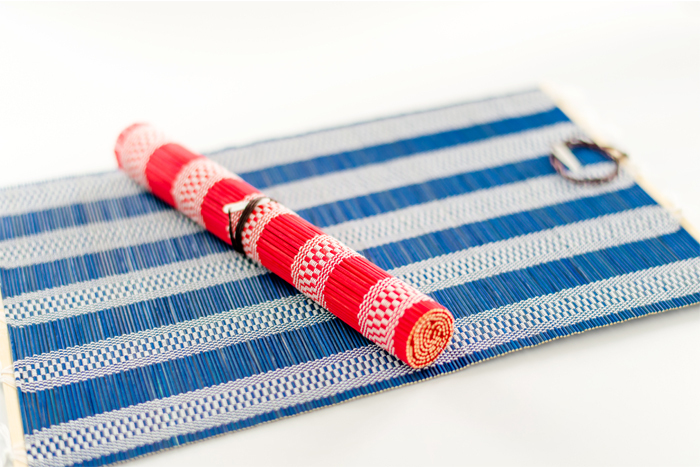 Wrap the brushes in the mat as shown. 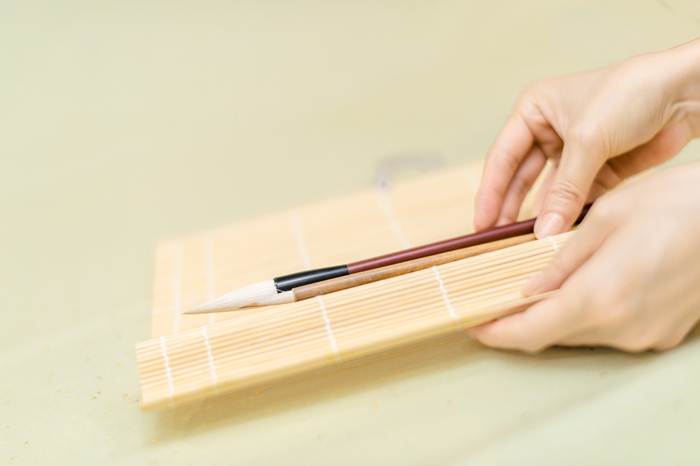 The bamboo storage mats ensure the brush tips are not damaged while still letting air through to prevent buildup of mold.